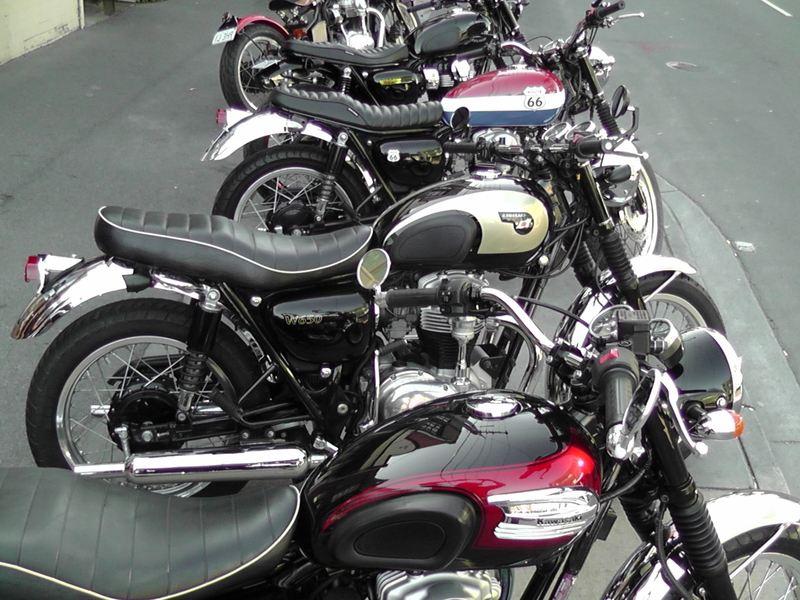 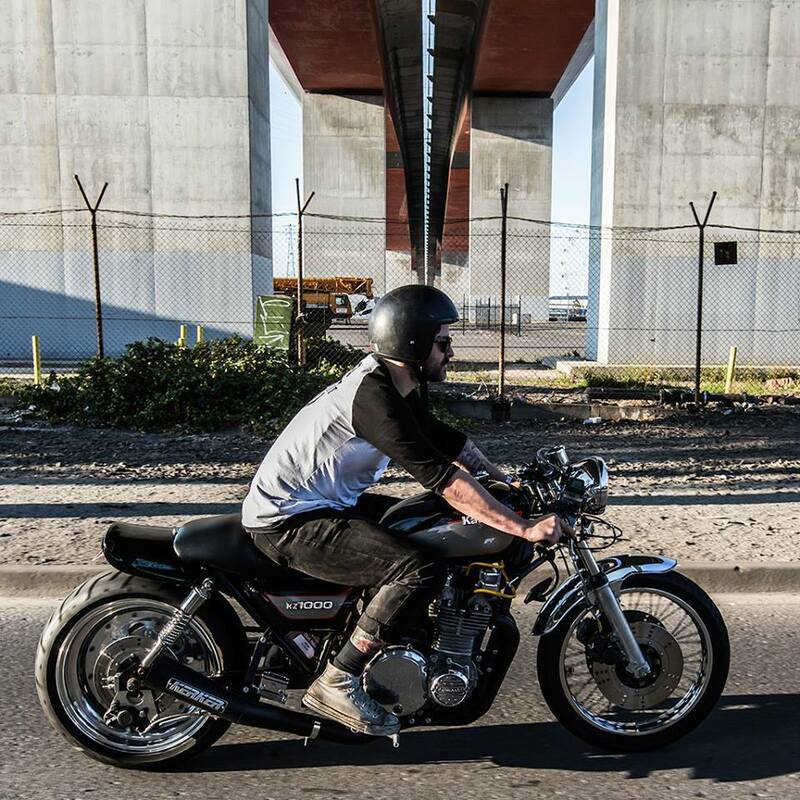 Our team shares a passion for great motorcycles – whether they’re standard or modified, an early classic, an urban commuter, a weekend warrior or a track-day terror. 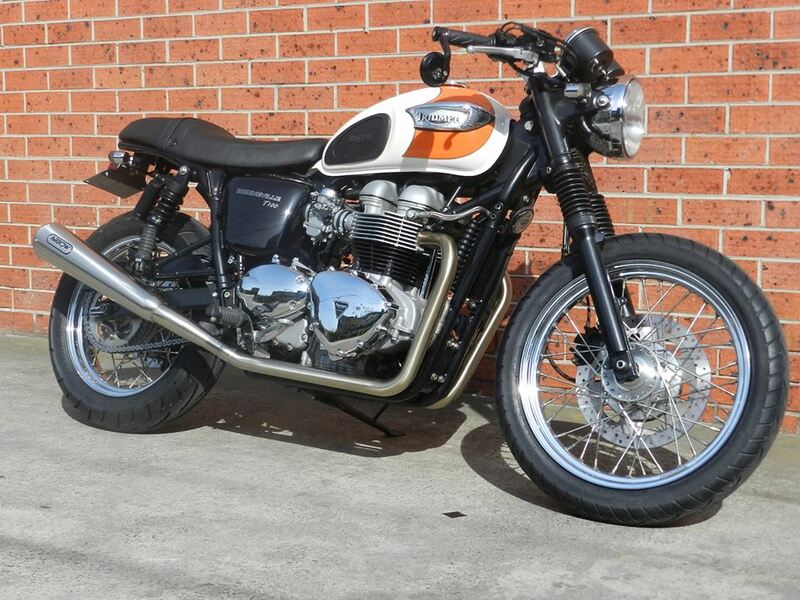 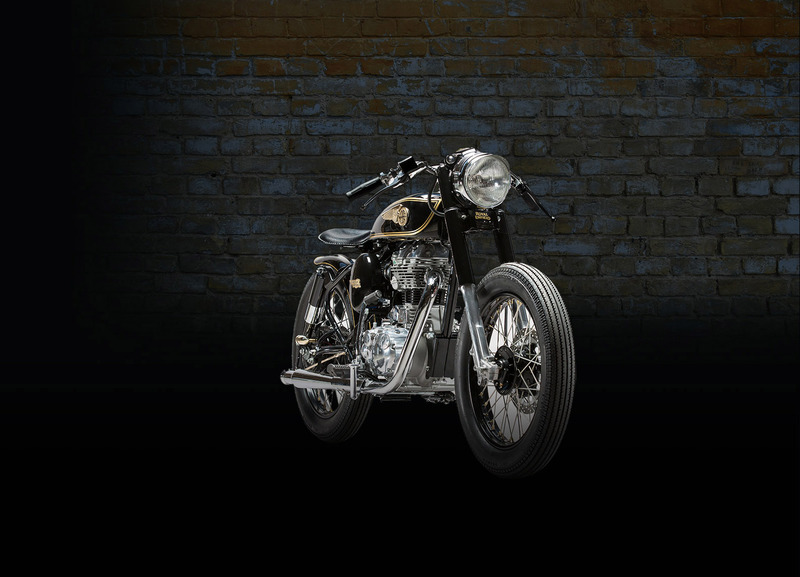 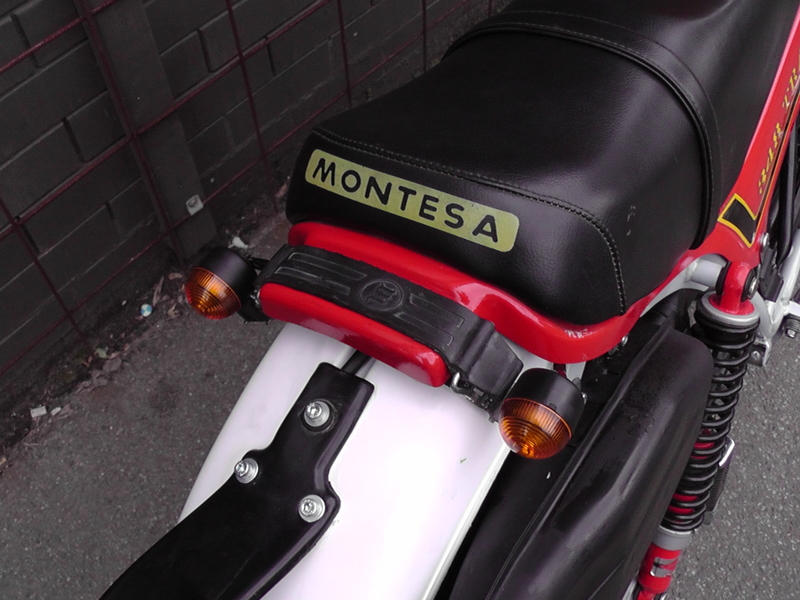 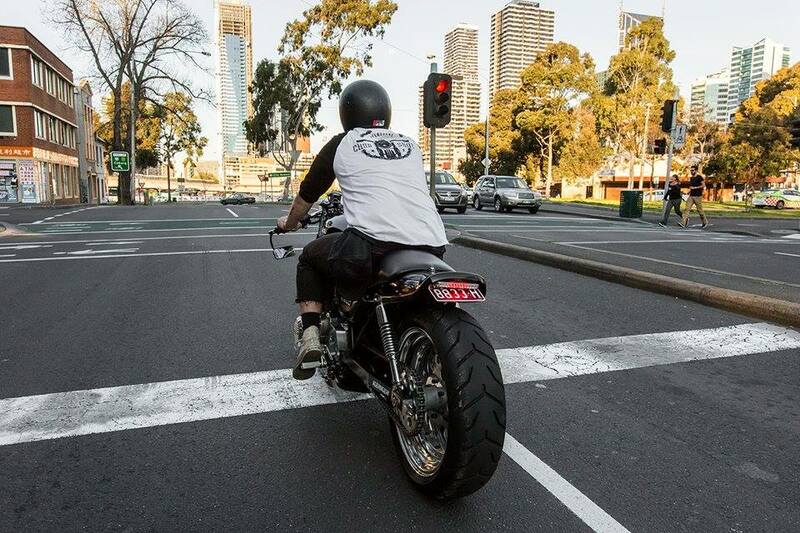 We build café racers, street trackers, classic choppers and bobbers and everything in between. 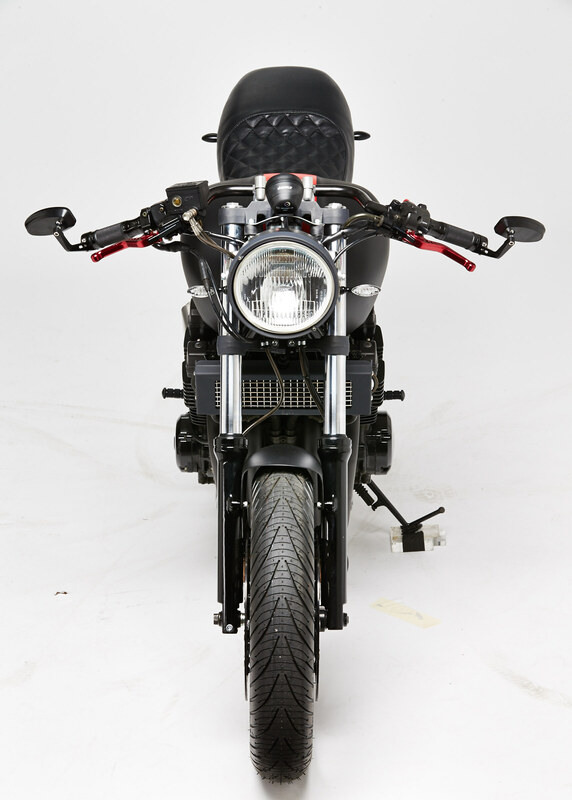 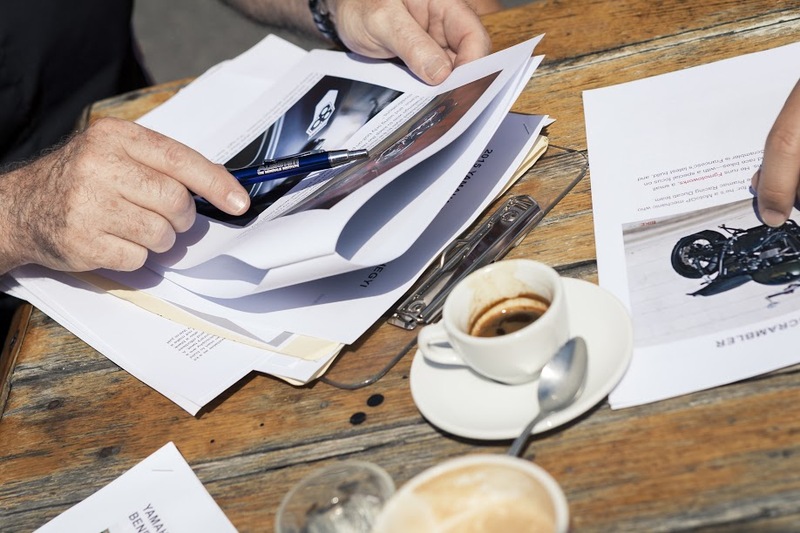 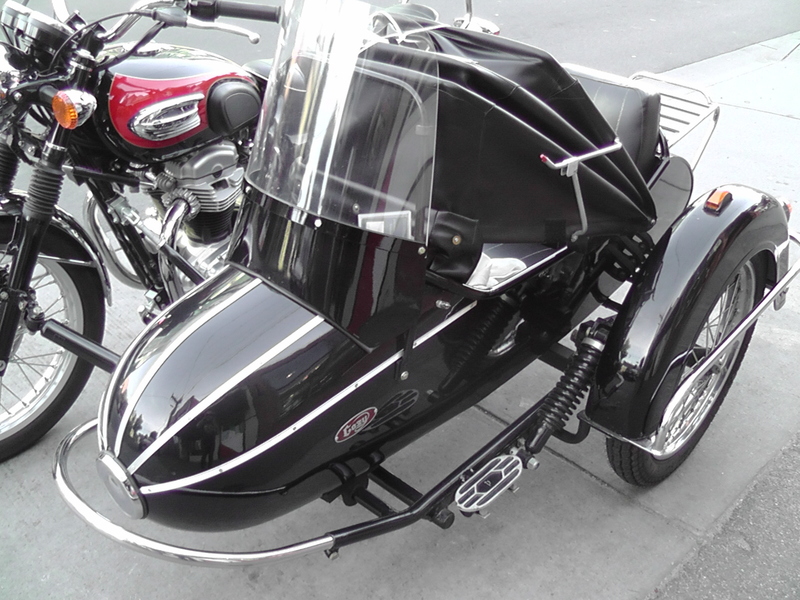 Our portfolio runs from budget builds to no-holds-barred custom rides, doing what our customers want and occasionally just building something to show what can be done. 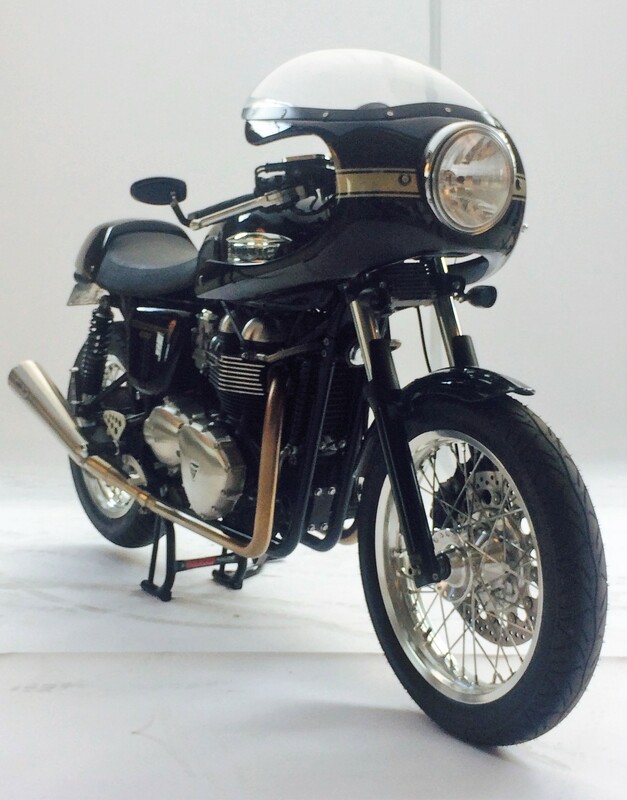 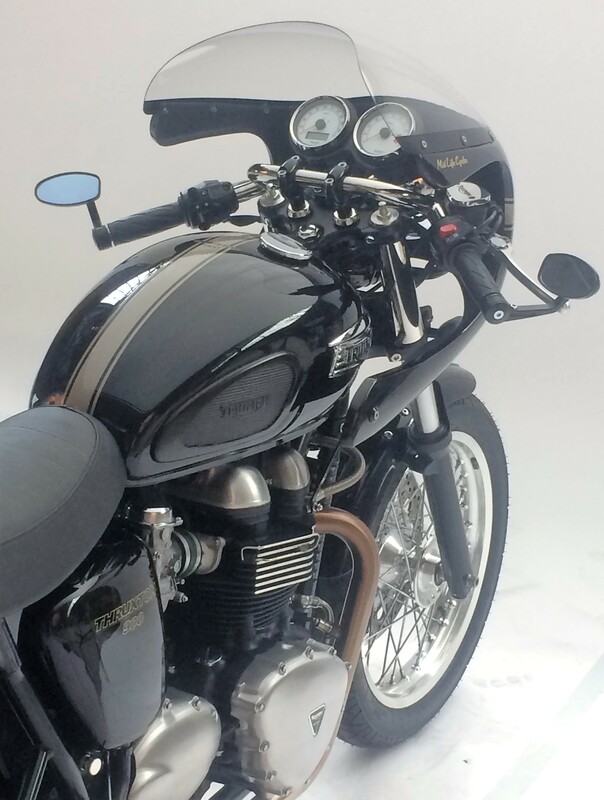 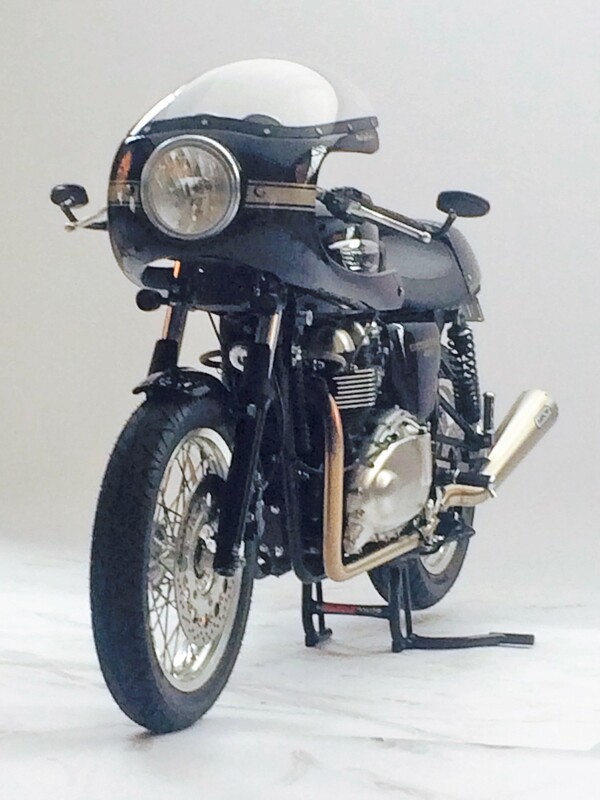 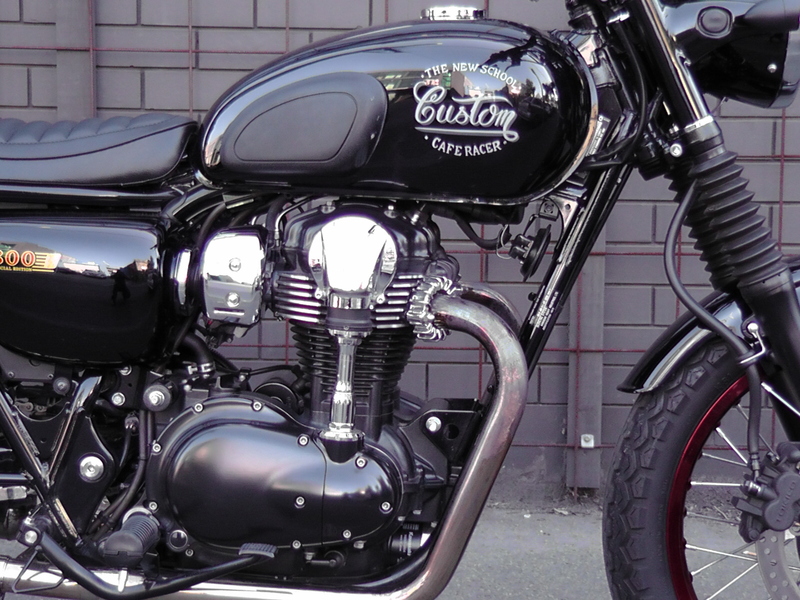 We build award-winning custom bikes, restore classic road and off-road bikes and undertake a range of customising work for our clients. 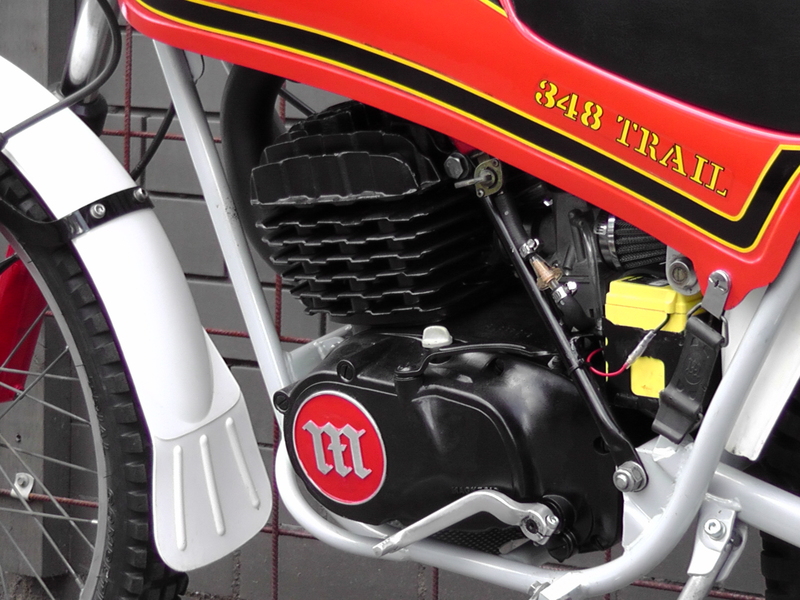 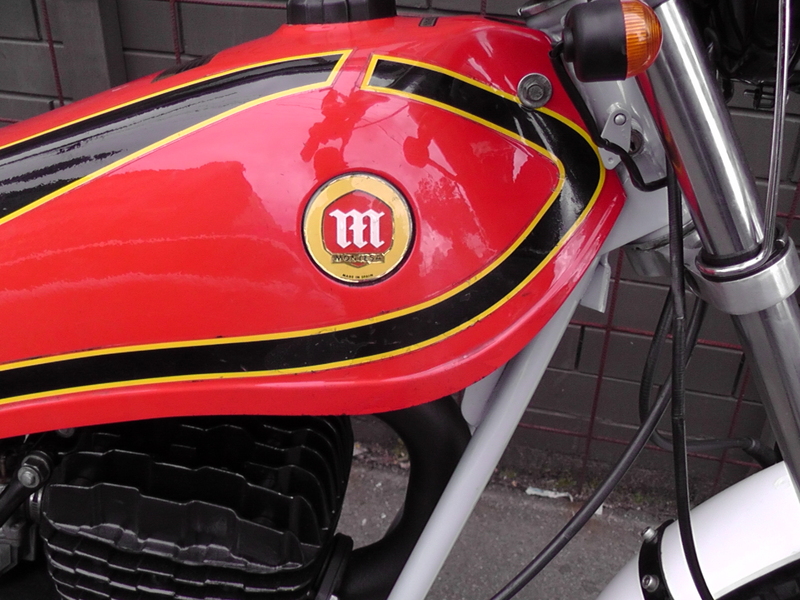 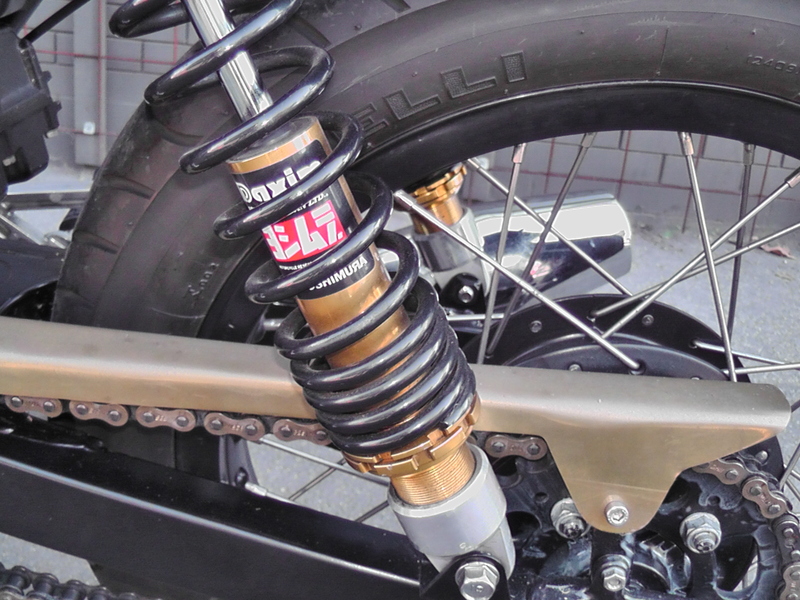 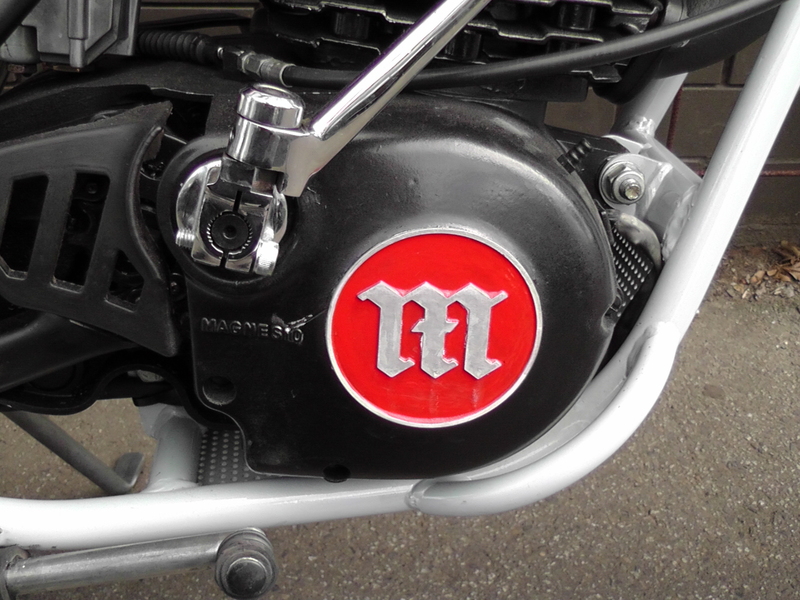 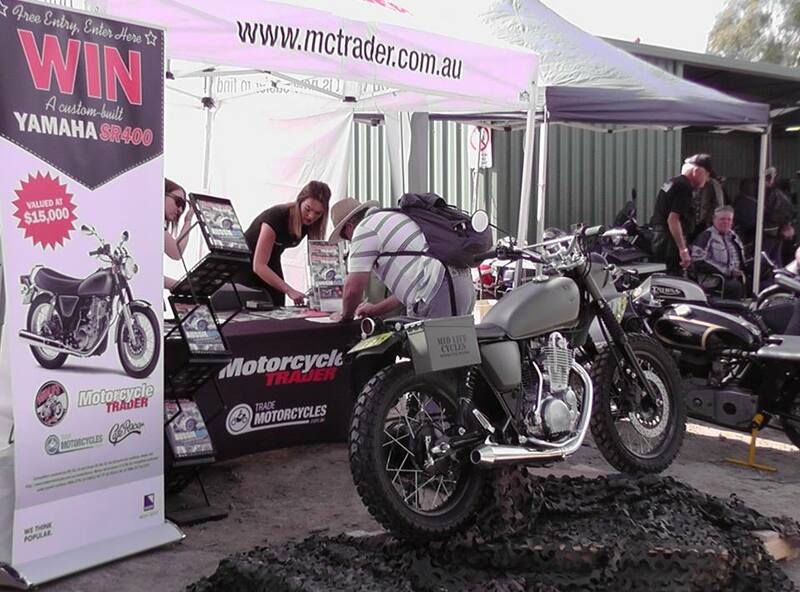 Our portfolio includes Maico and Montesa scramblers; Honda café racers of almost every age and style; Kawasaki W400-650-800s and some very special Zed-based bikes; classic BMW airhead café racers; Harley Bobbers and cruisers; countless Yamaha SR-based street specials, and now a range of custom bikes based on the Classic Royal Enfield series. 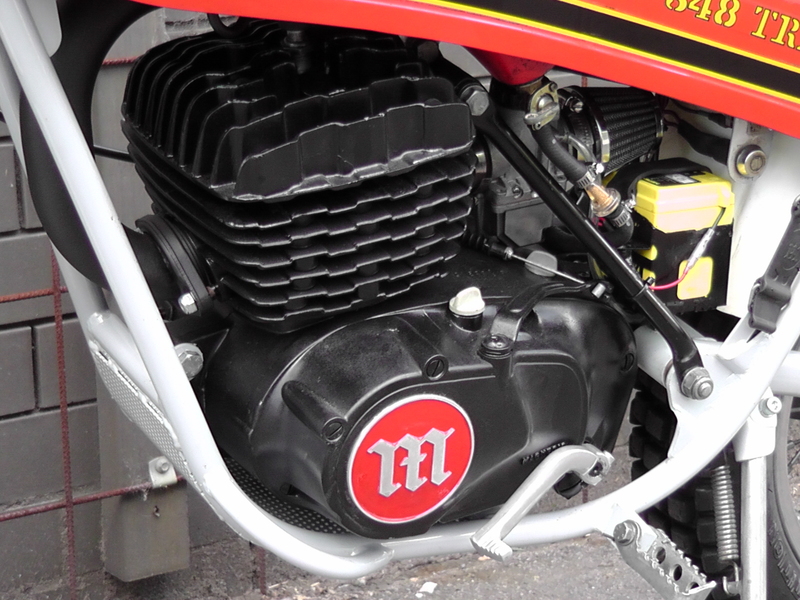 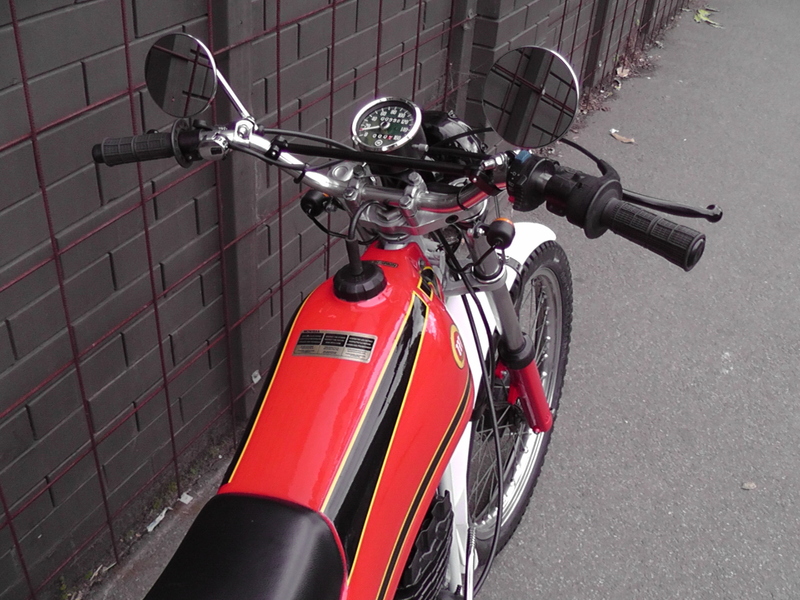 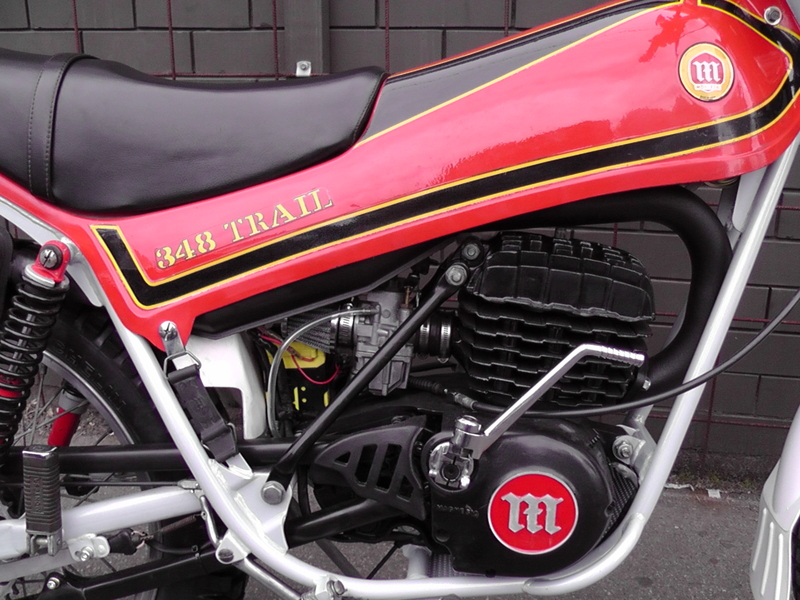 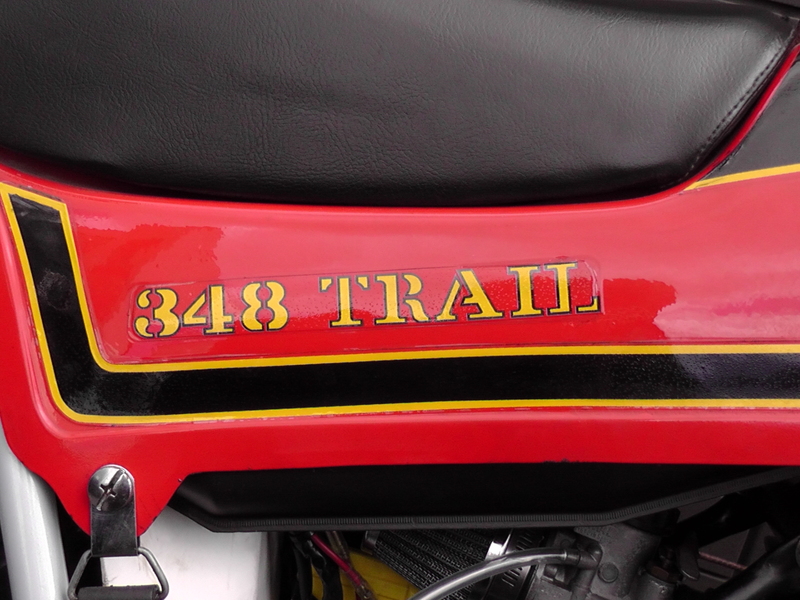 The enthusiast owner sent us this bike from his home in Sydney and gave us full reign to restore his rare Montesa 348 Trail. 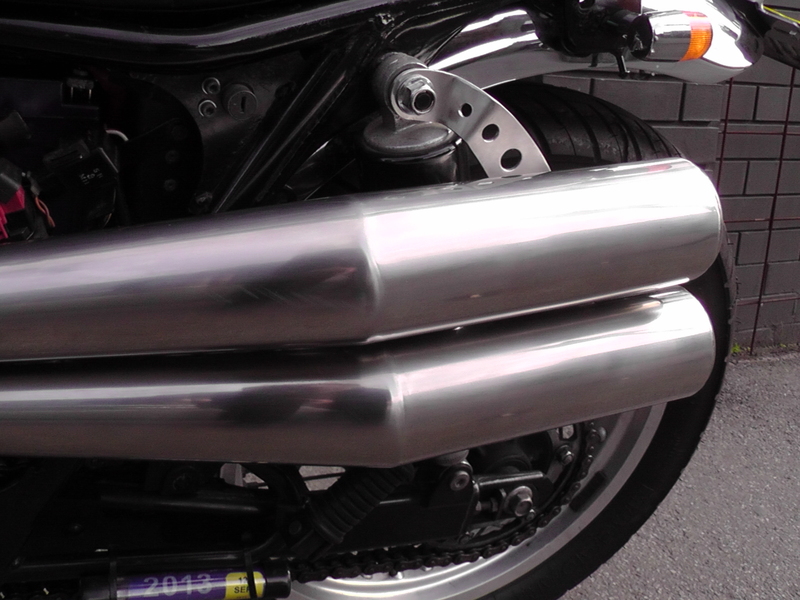 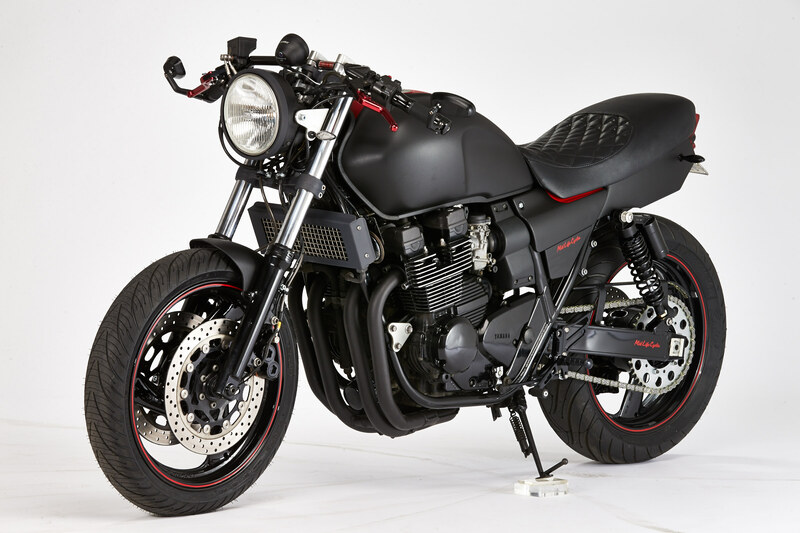 Yamaha’s XJR 400 might not have the grunt and street-presence of big-brother XJR 1300, but it makes a great-riding mid-weight custom bike. 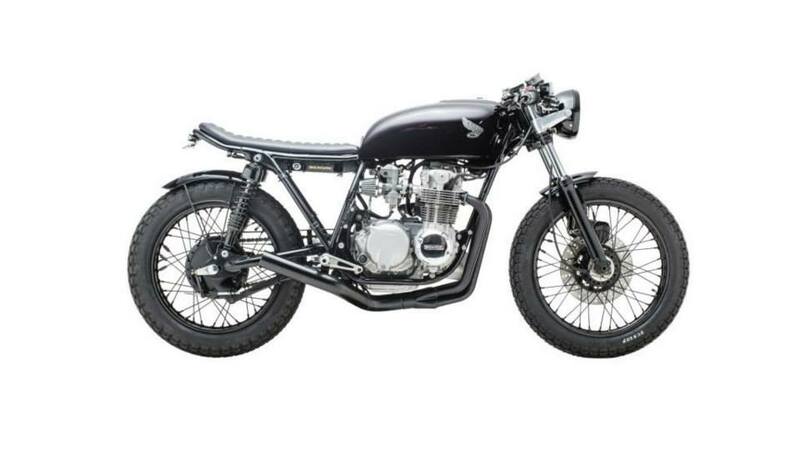 It started with a request from Motorcycle Trader for Mid Life Cycles to build a custom bike based on Yamaha’s fuel-injected SR400. 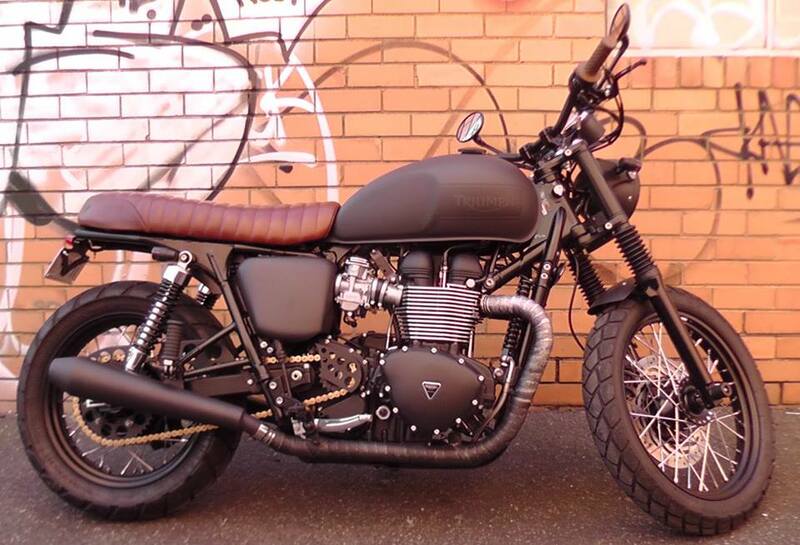 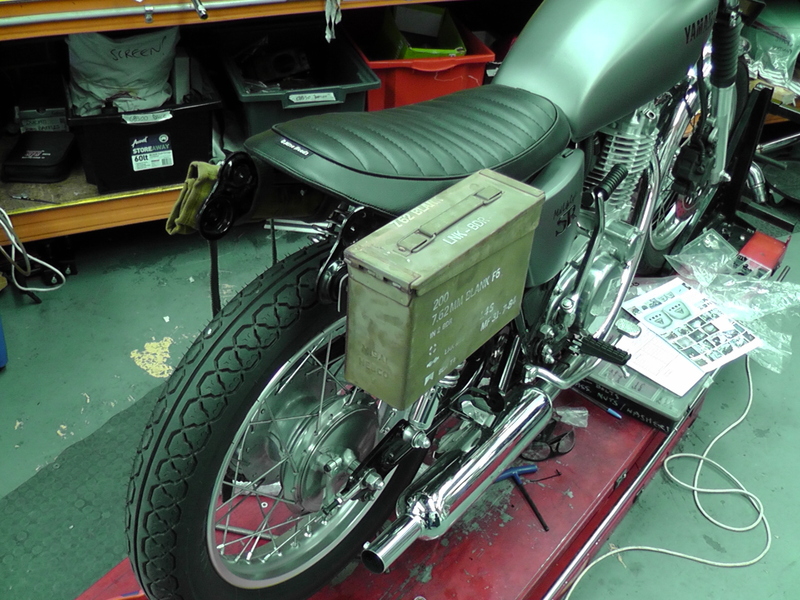 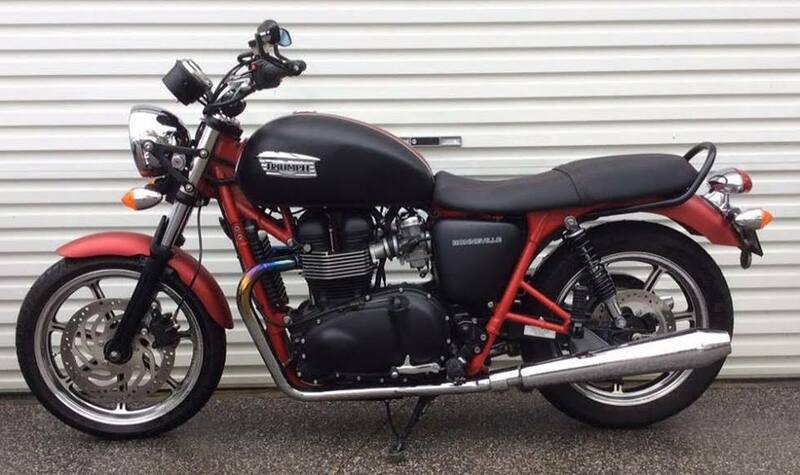 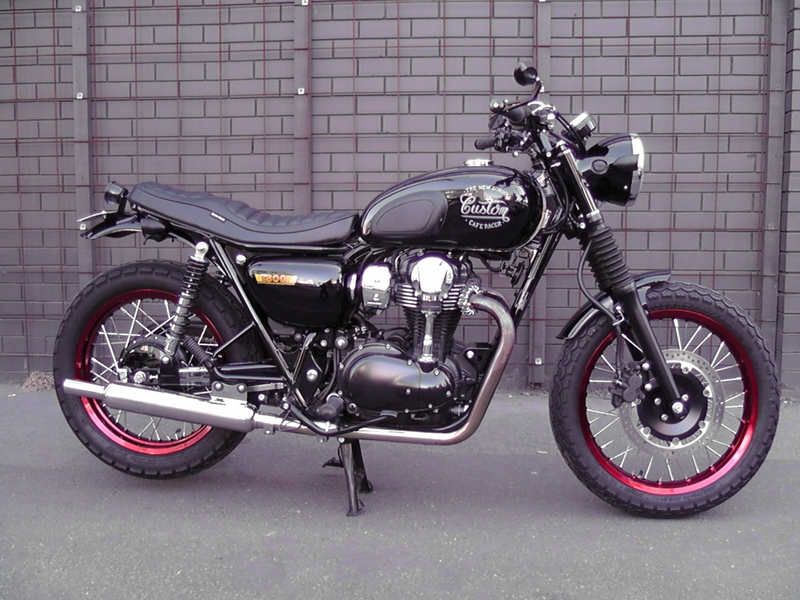 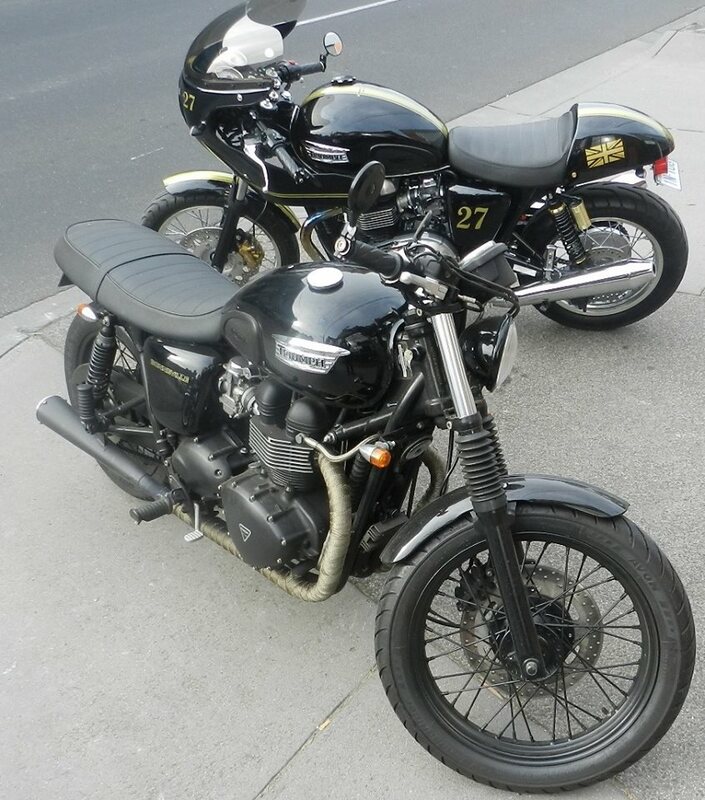 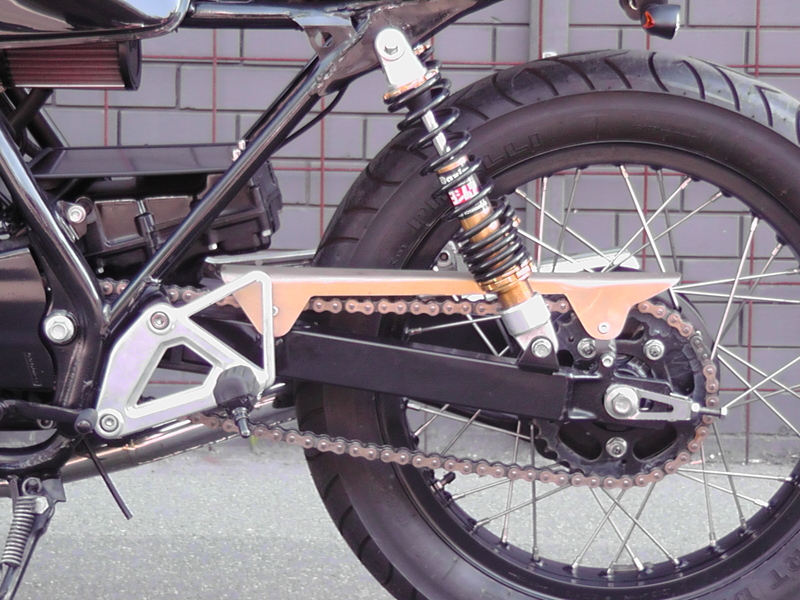 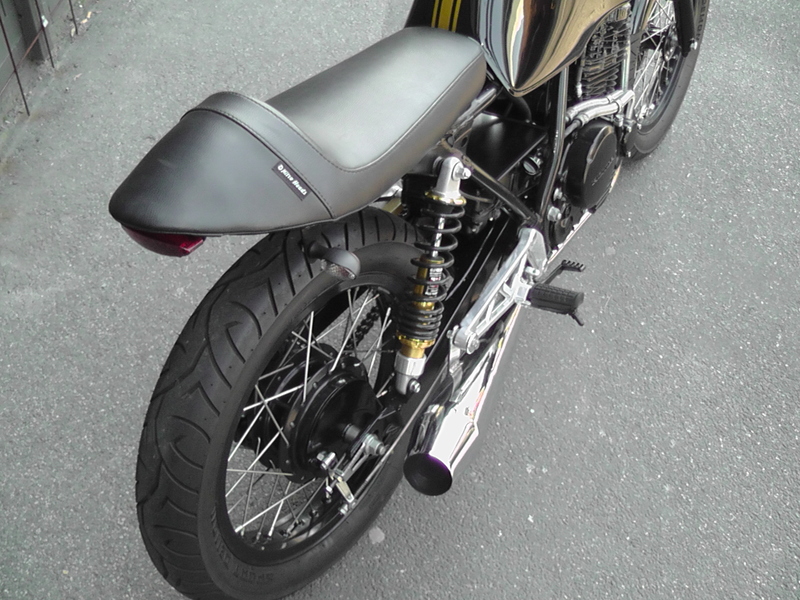 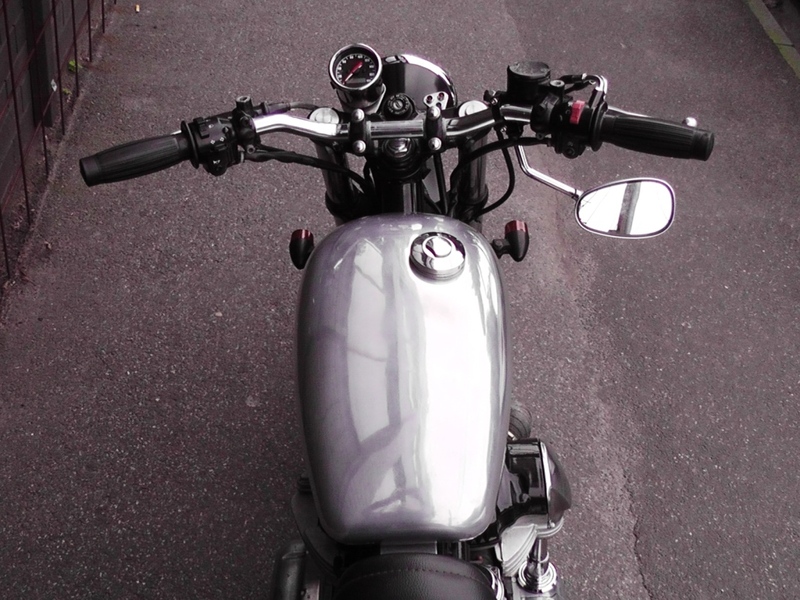 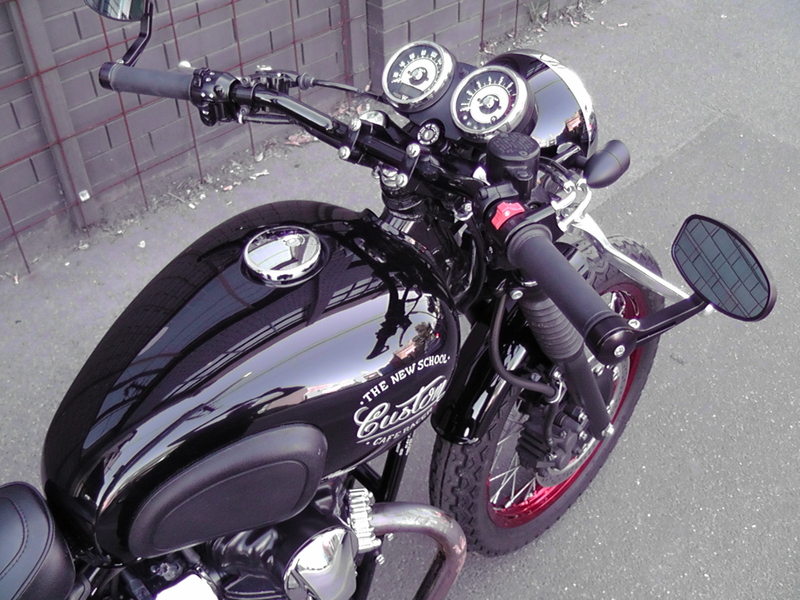 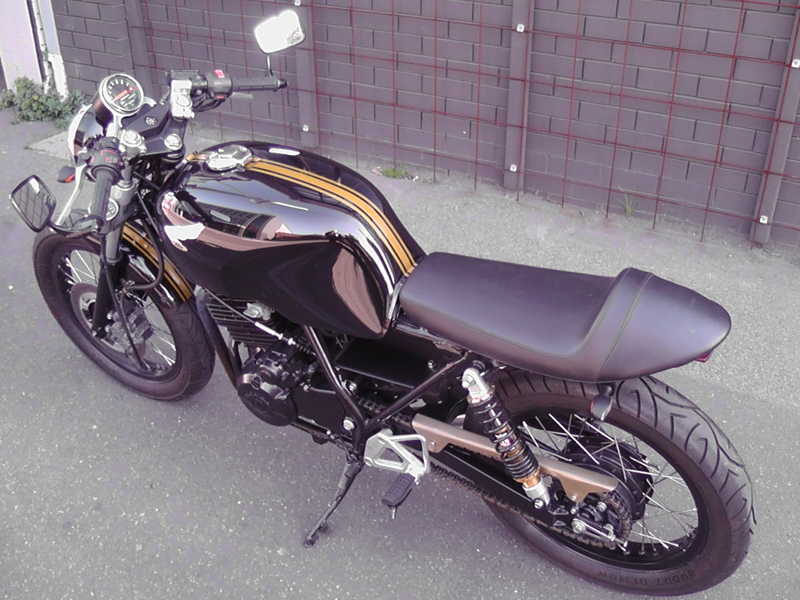 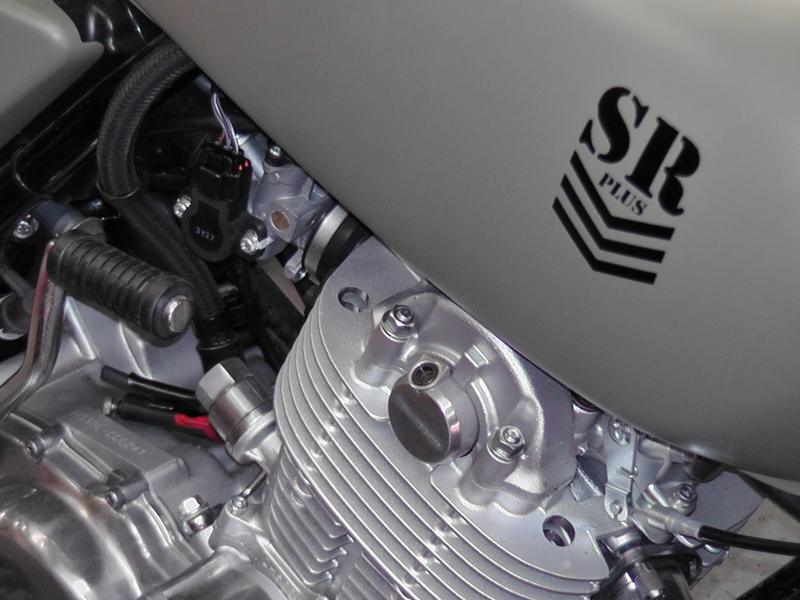 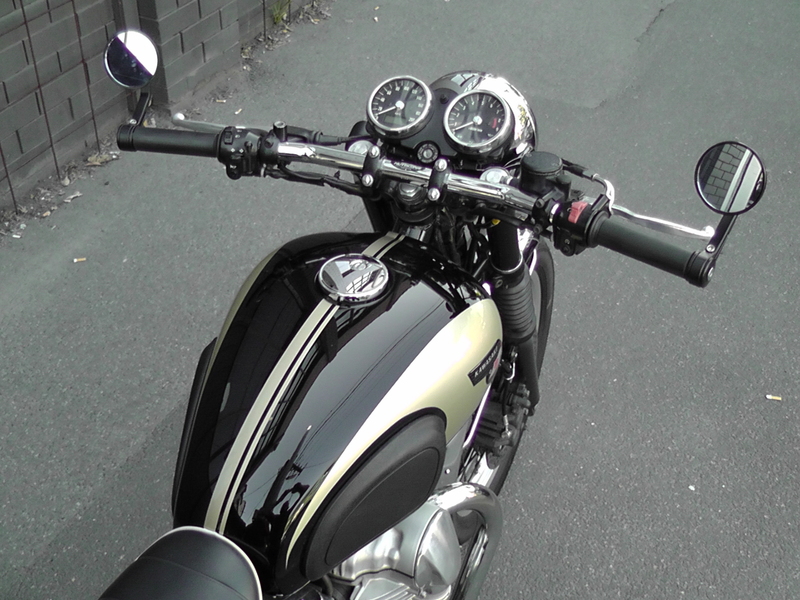 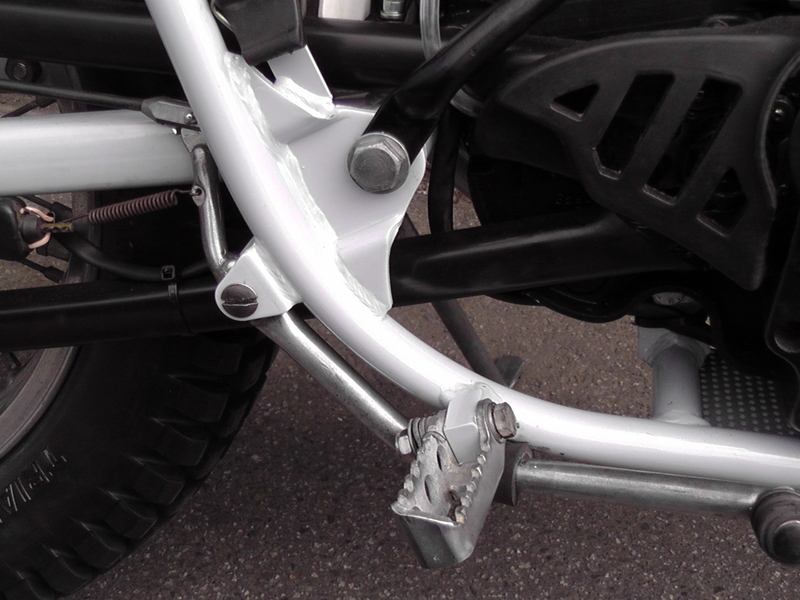 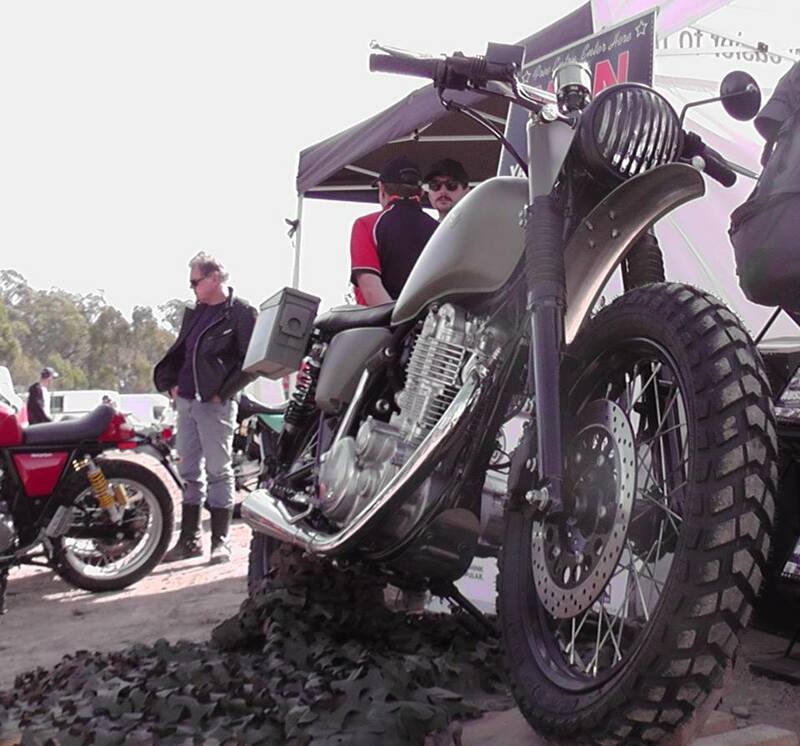 There was a detailed planning session where we looked at SR builds old and new; then a strip-down in the workshop; and then a custom build with elements of Scrambler and Army Surplus (SRPlus…). 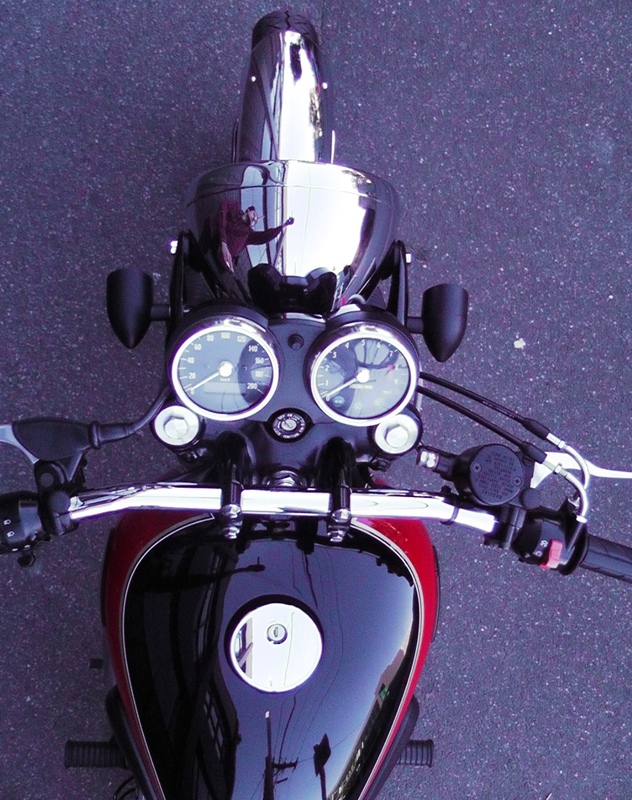 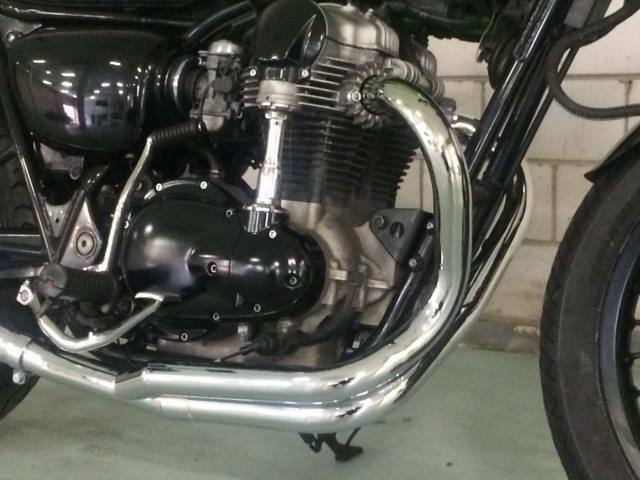 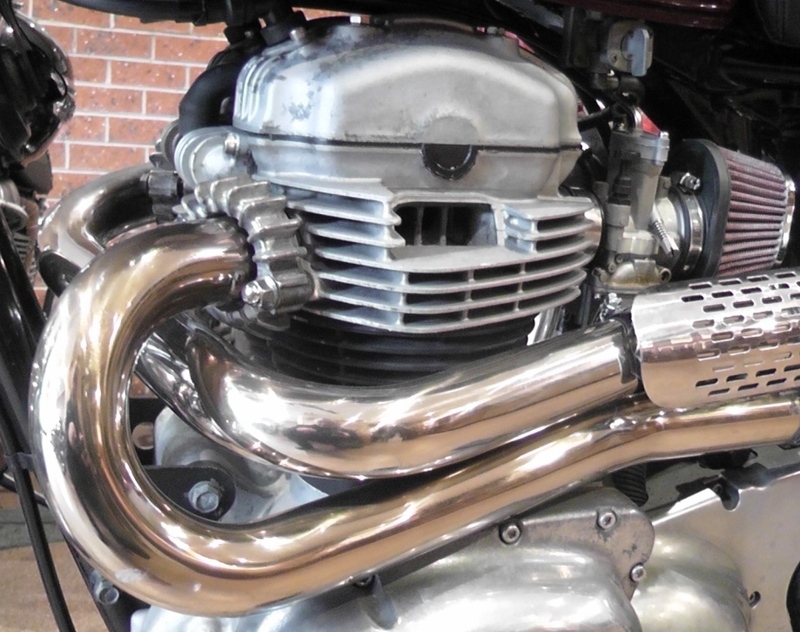 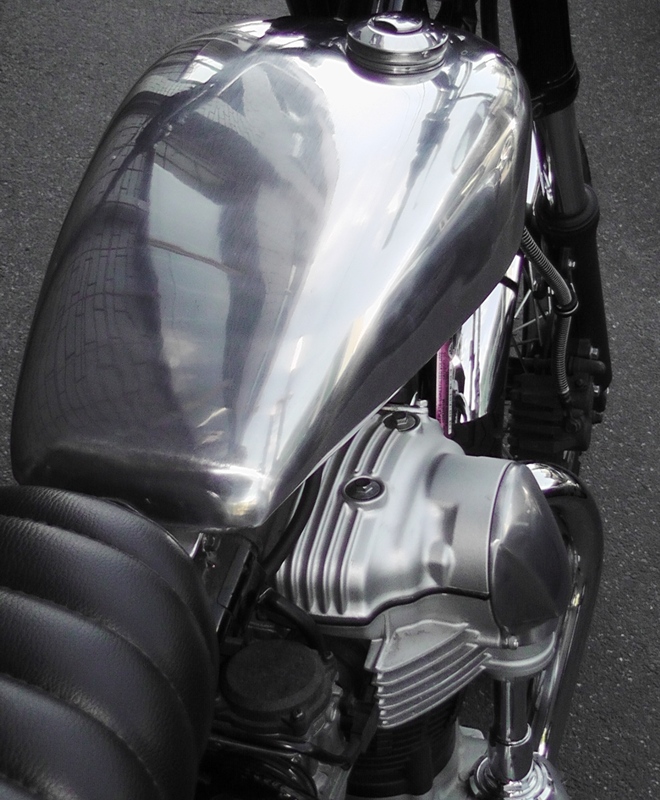 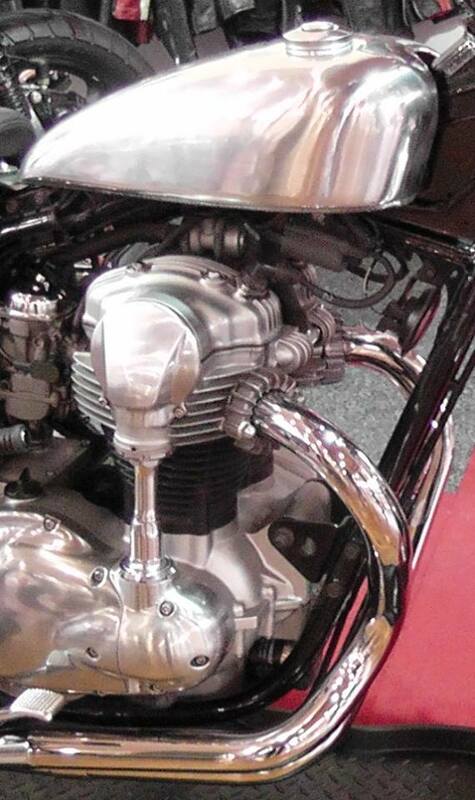 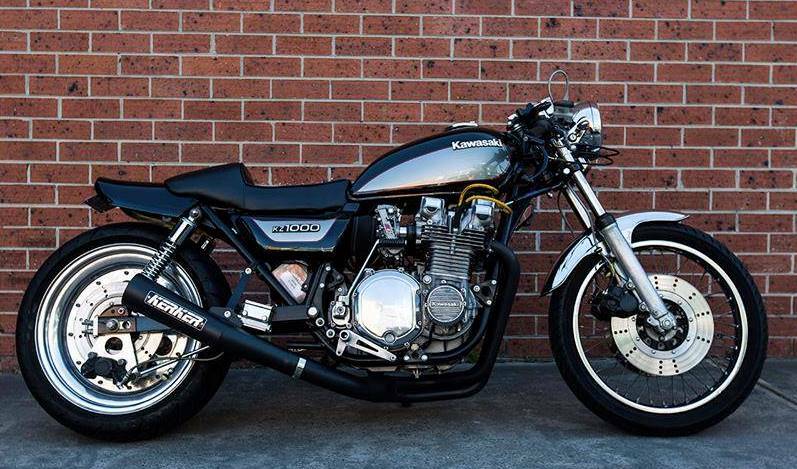 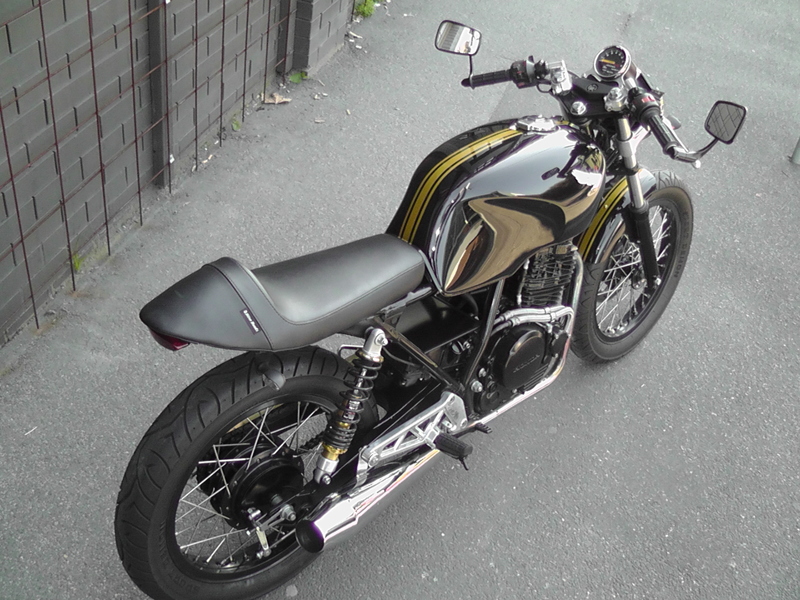 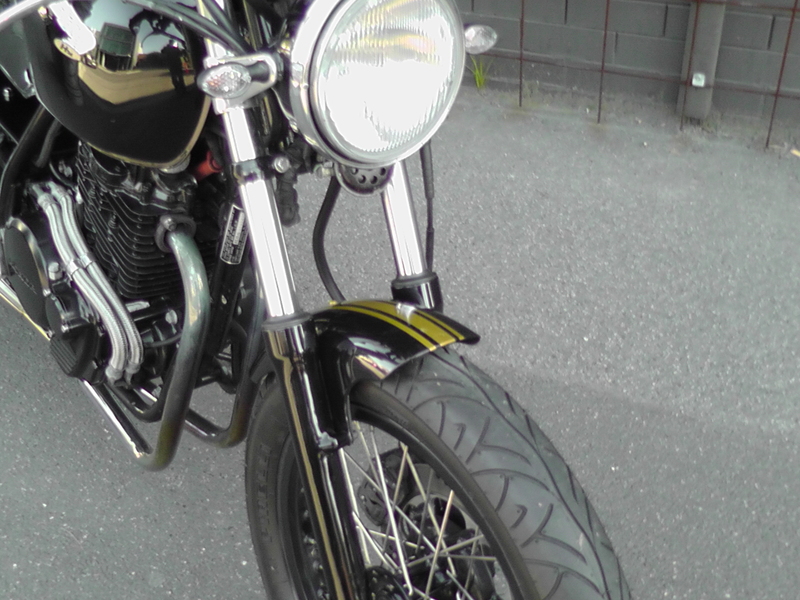 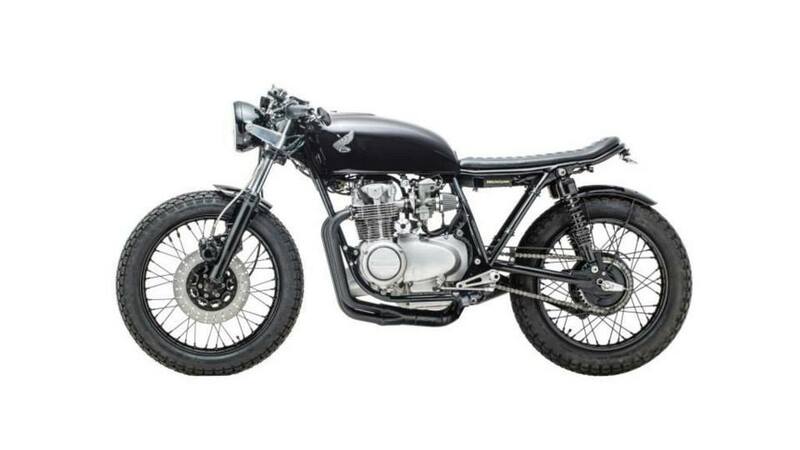 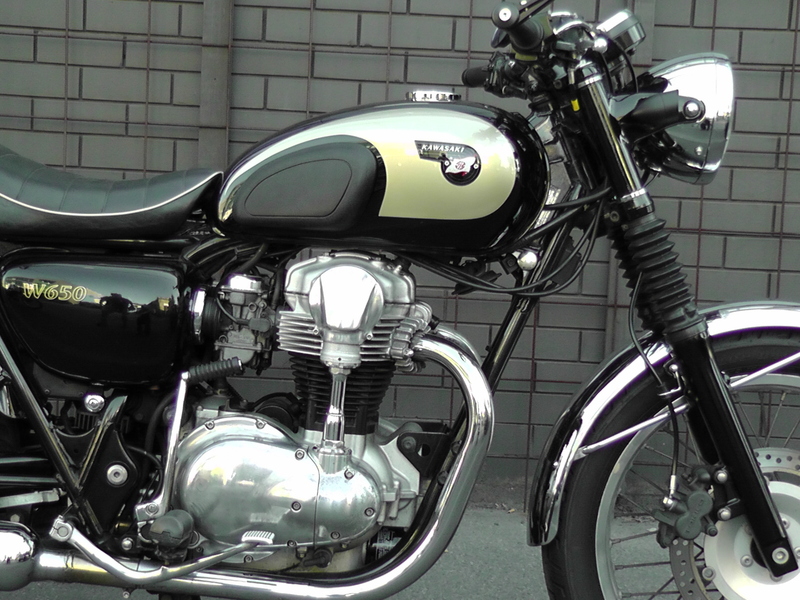 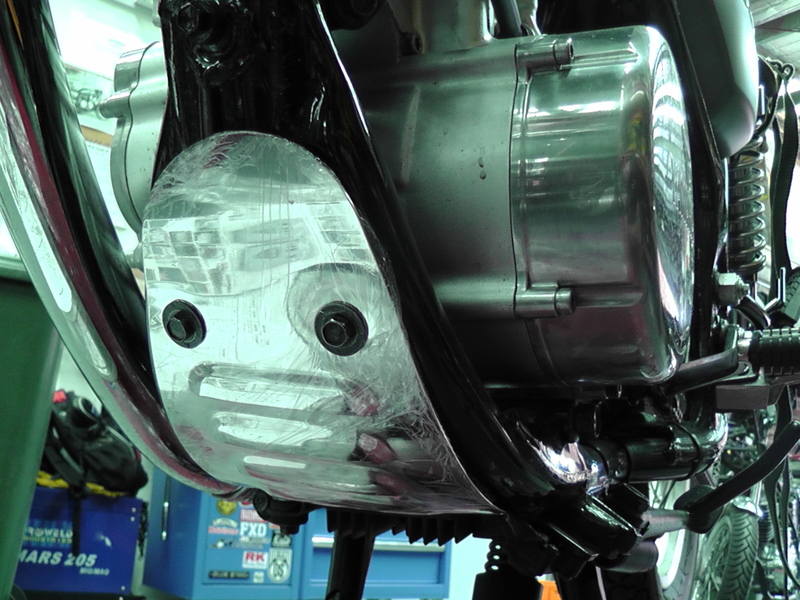 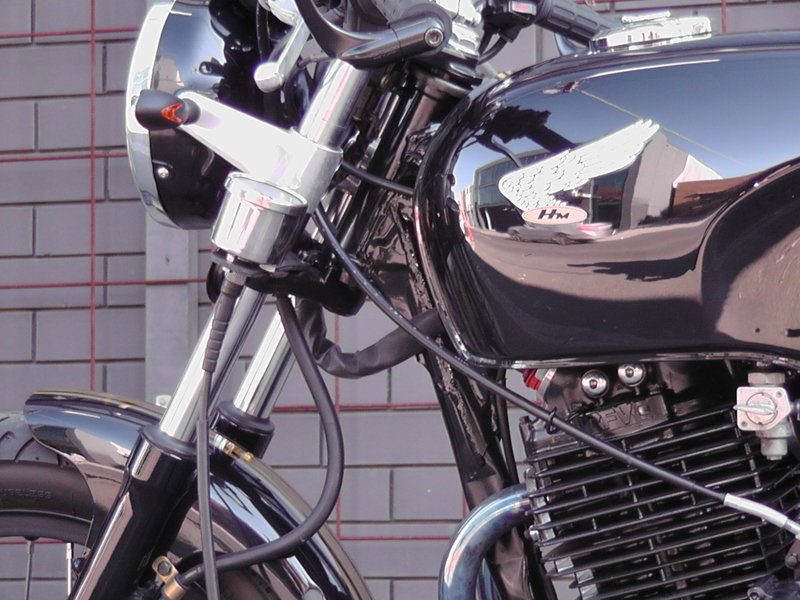 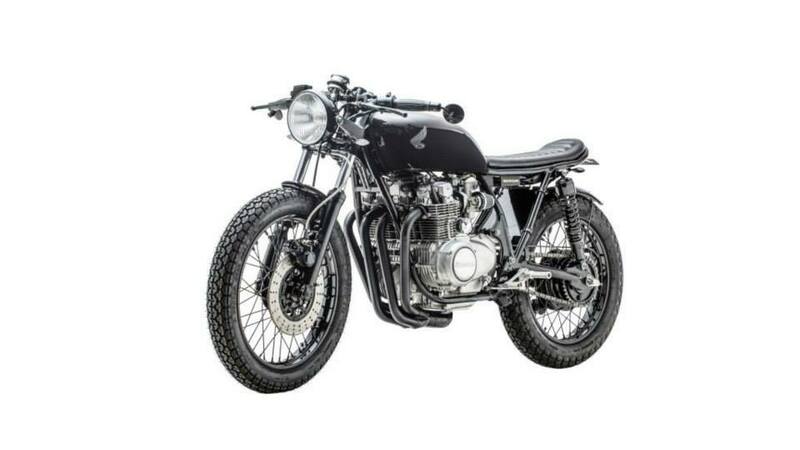 We’ve built several café racers on Honda’s fabulous mid-Seventies CB500 / CB550 Four. 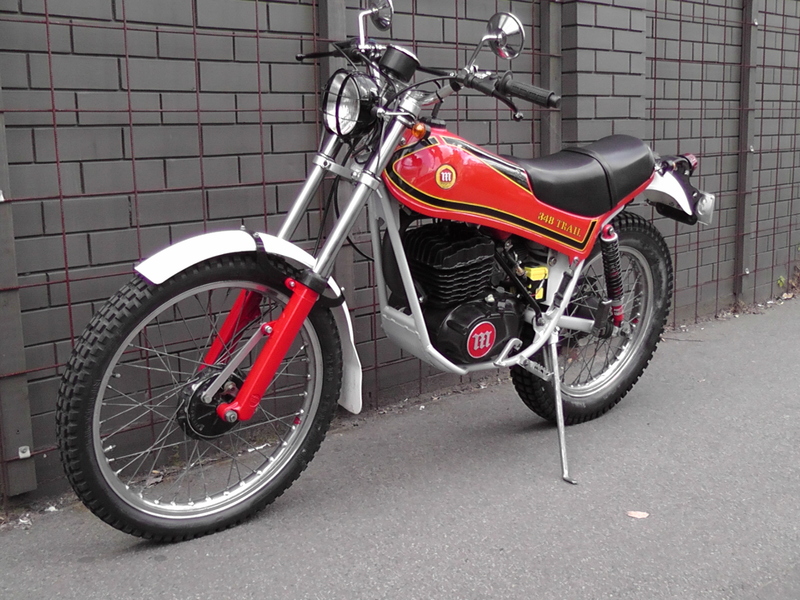 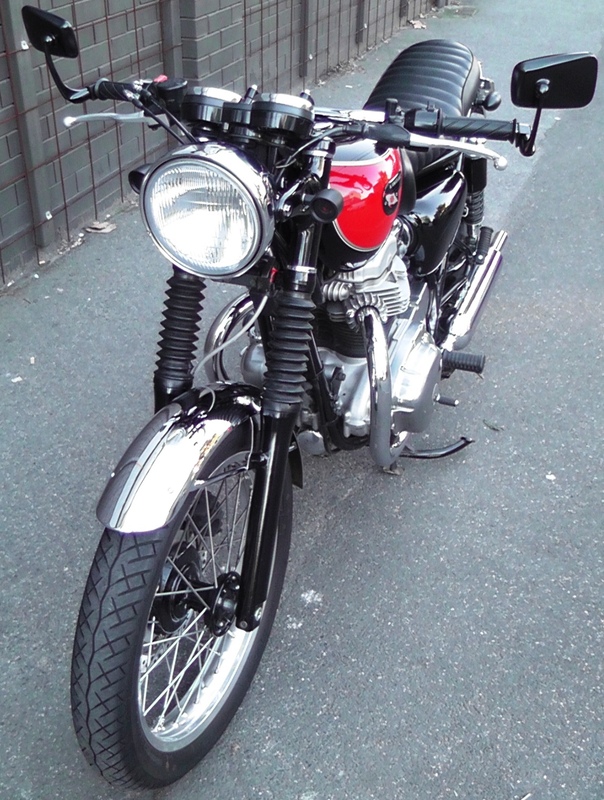 One of the earliest (and still one of the best) was GBH – Grievous Bodily Honda. 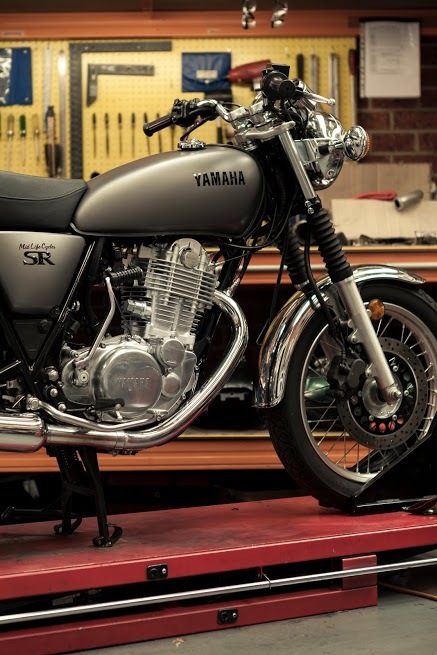 Honda’s late-Eighties GB factory café racers and their somewhat dumpier cousins the XBR series were decades ahead of their time – or caught in a No-Sales Land between the original ton-up boys and their café racers of the Sixties and the revival of the whole café racer scene in the early-2000s. 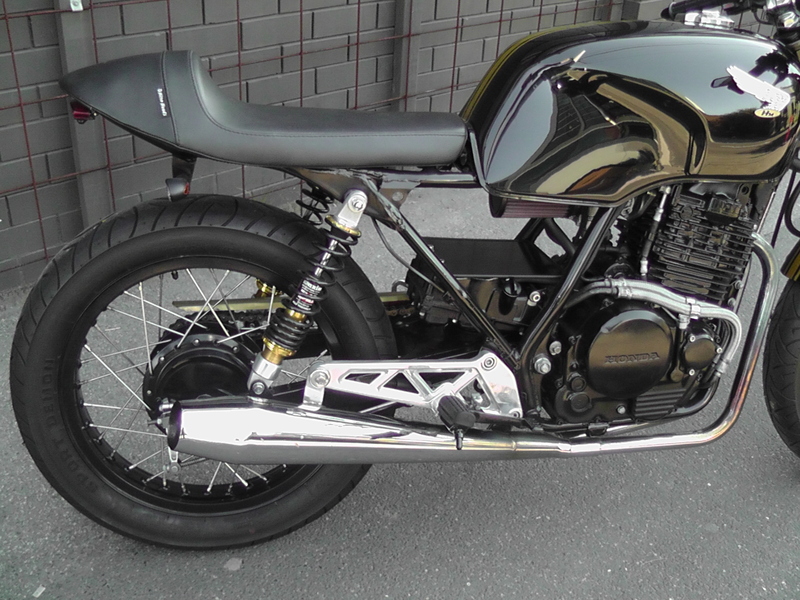 But the GB and XBR singles make great custom café racers. 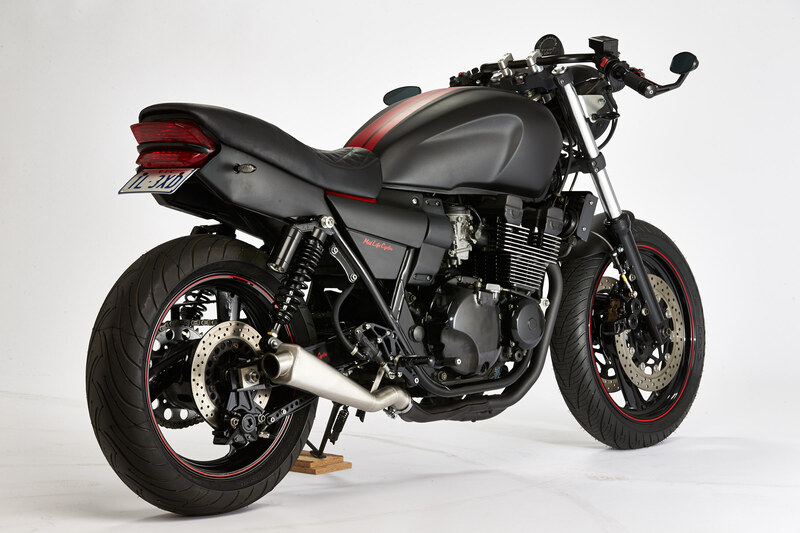 We’ve built a dozen or more full café racers based on the GB-XBR series and tidied up at least that many near-standard GBs and XBRs for owners. 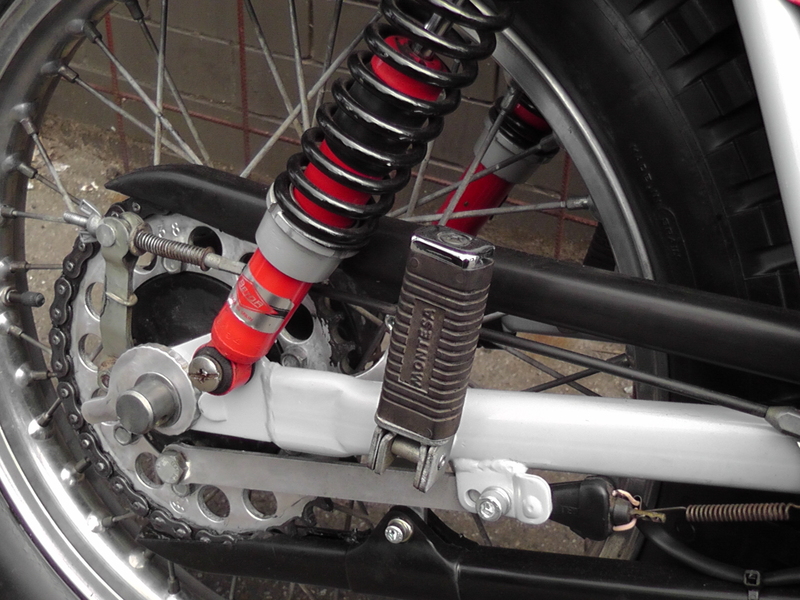 One of the first was Frankenbike. 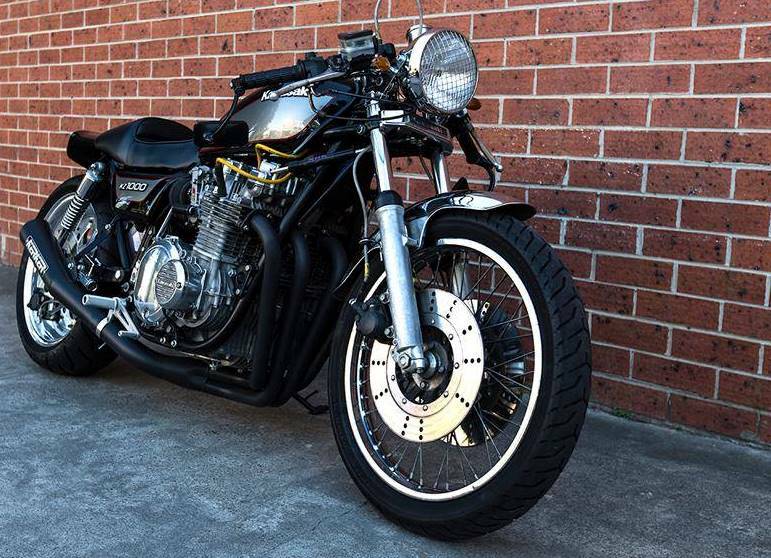 Built for custom bike and café racer enthusiast Frank, it began life as an XBR but had bits of GB grafted onto its much-modified bones. 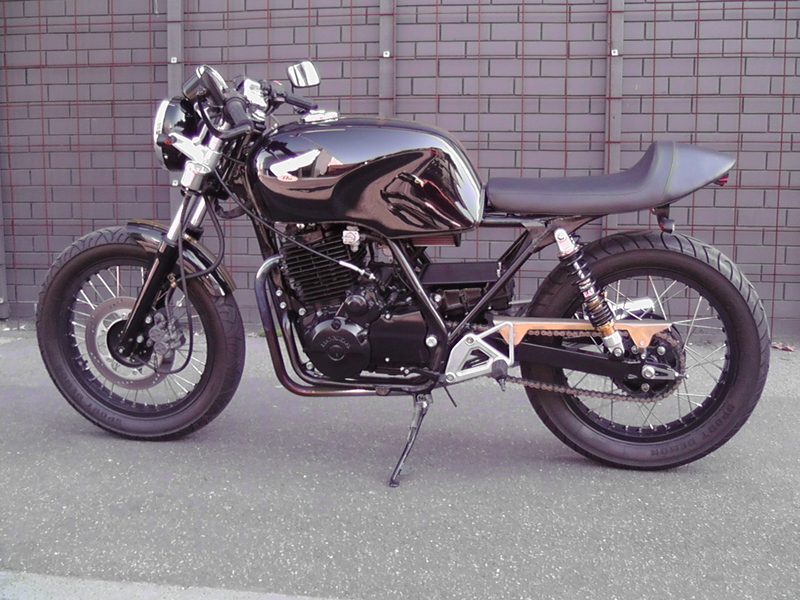 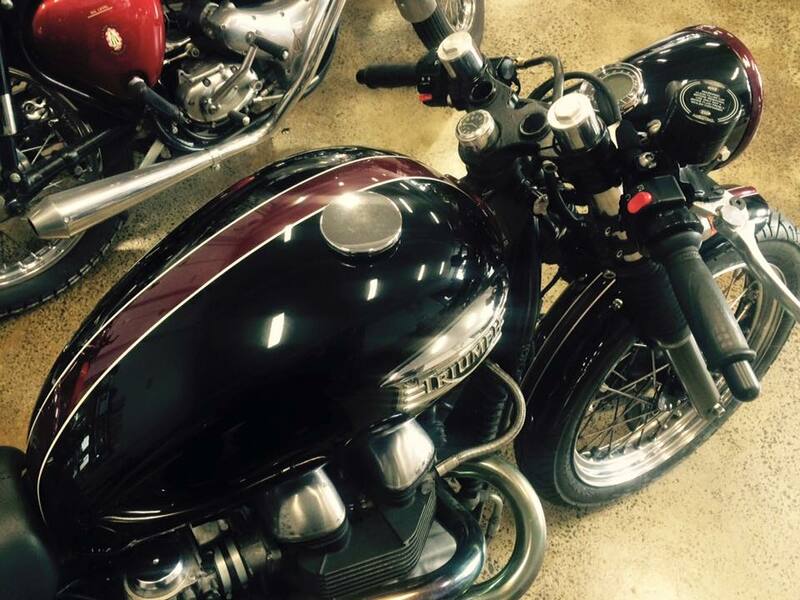 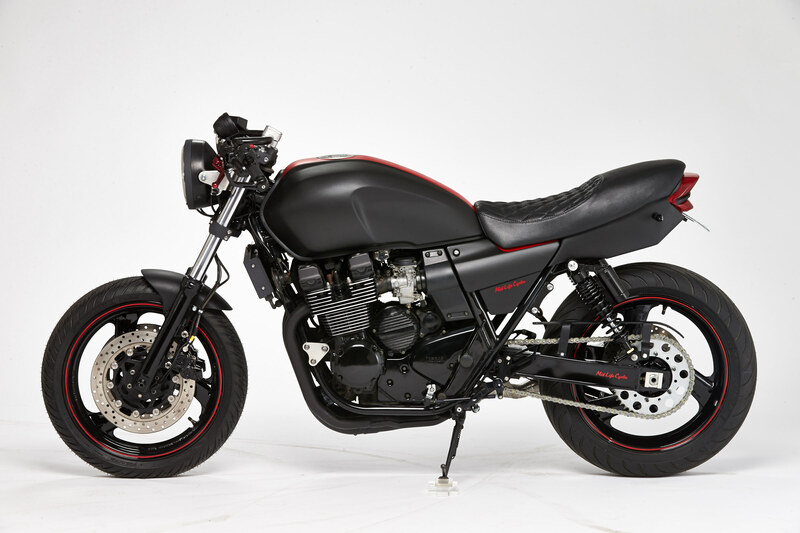 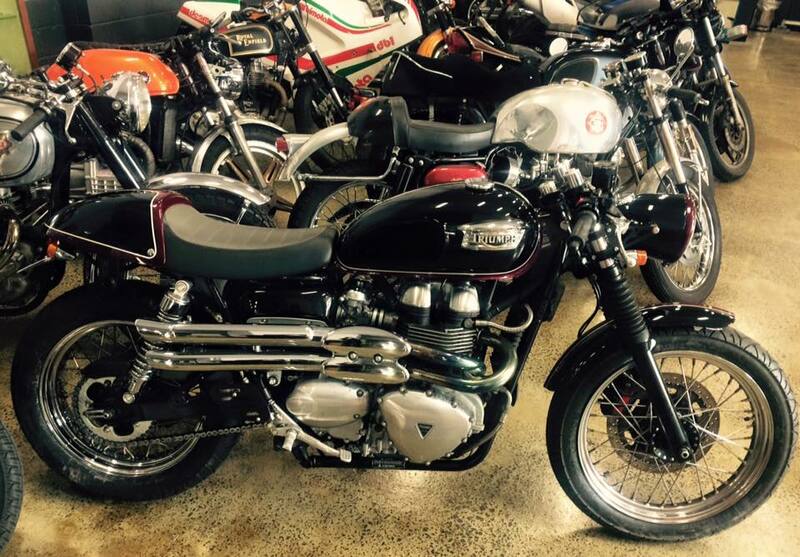 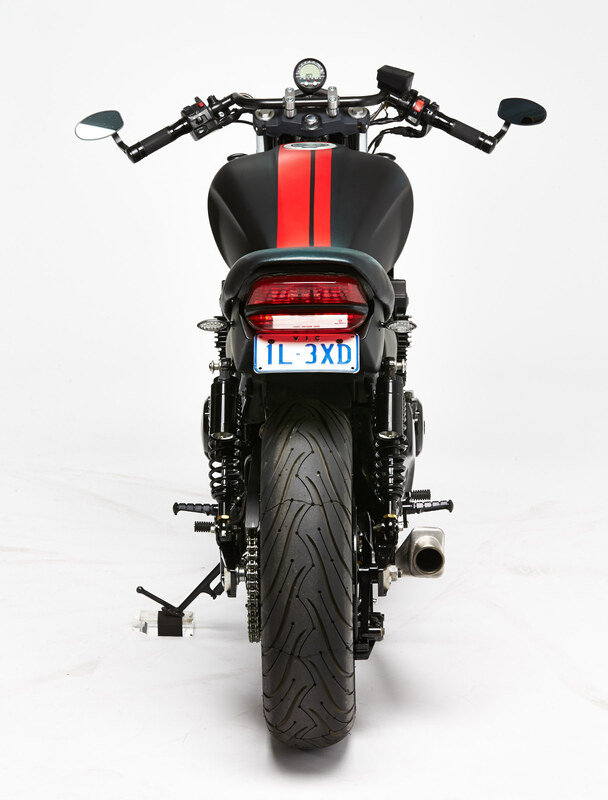 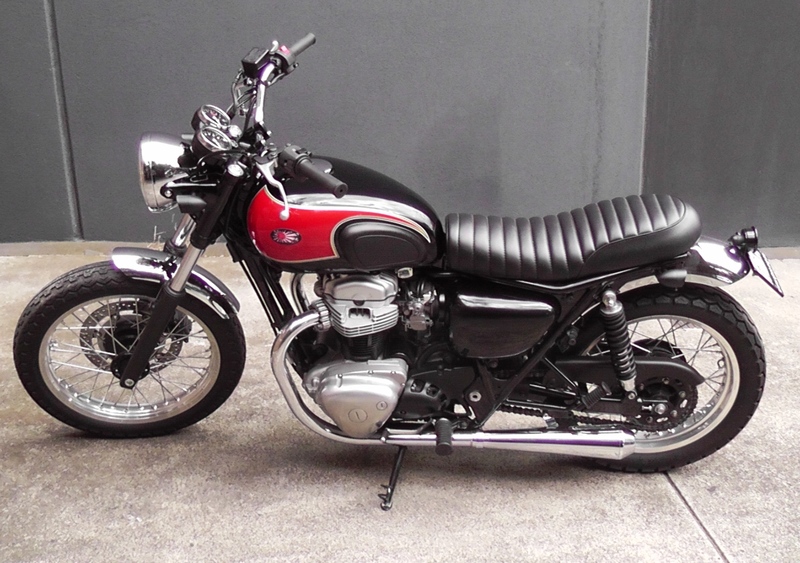 This custom Zed was Dexter’s pride and joy – until it was stolen and trashed. 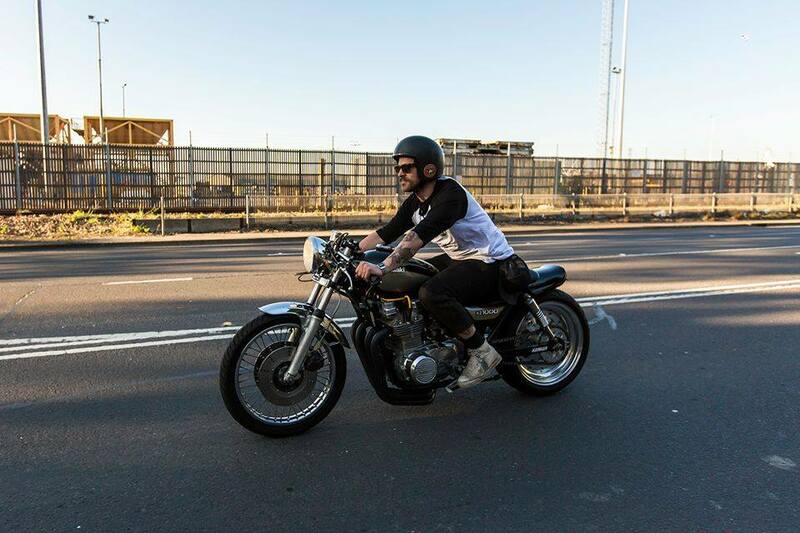 Mid Life Cycles senior tech Charlie Hallam resurrected the hard-charging Zed and gave it a shakedown run. 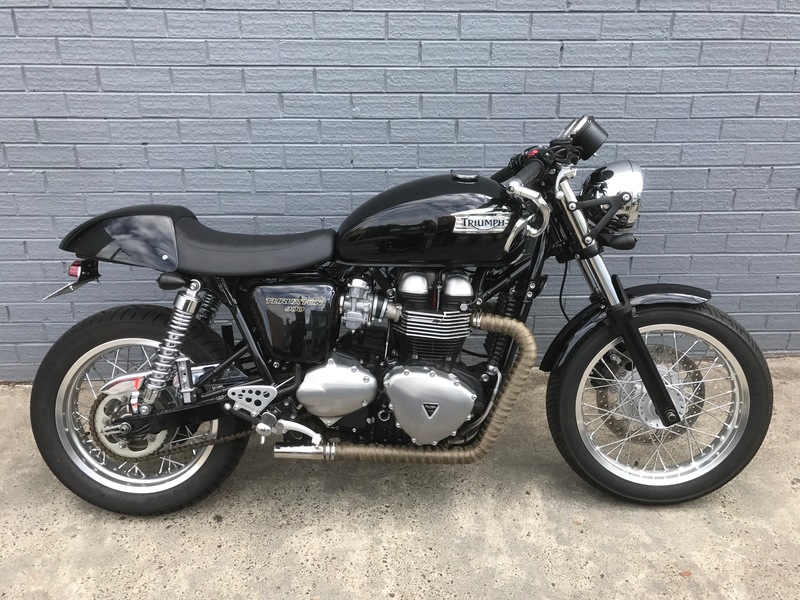 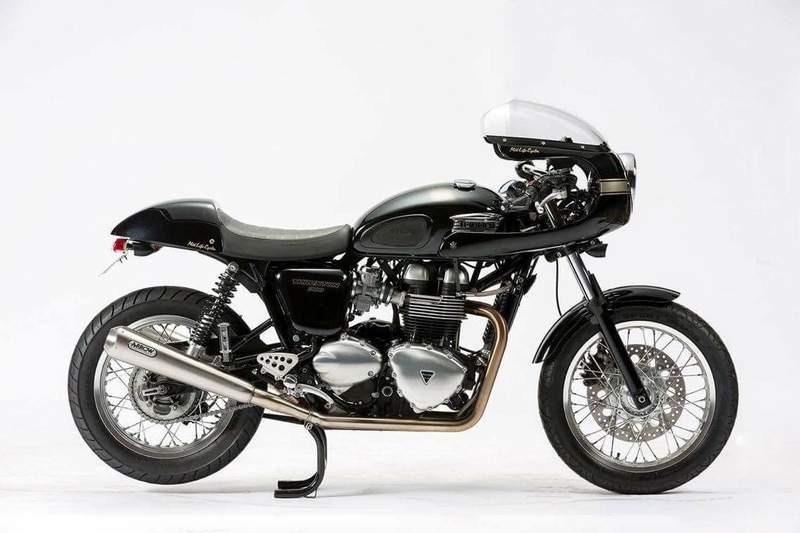 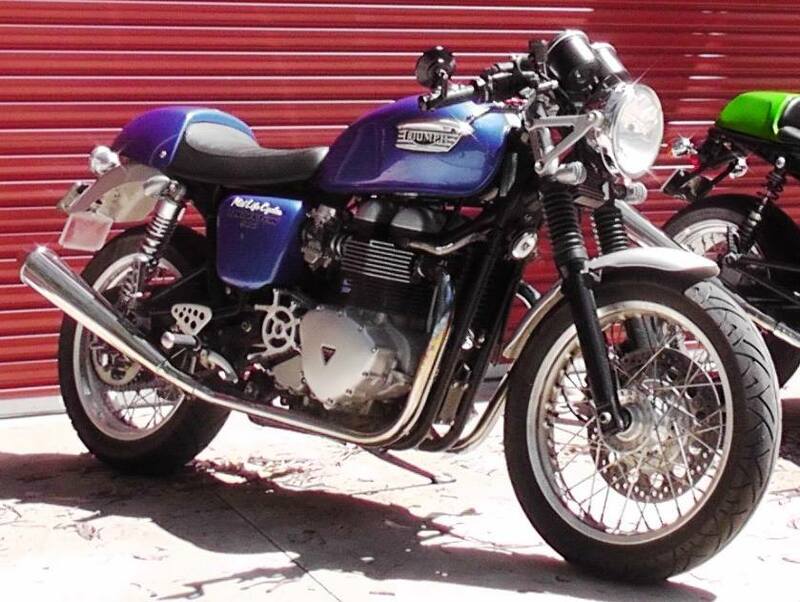 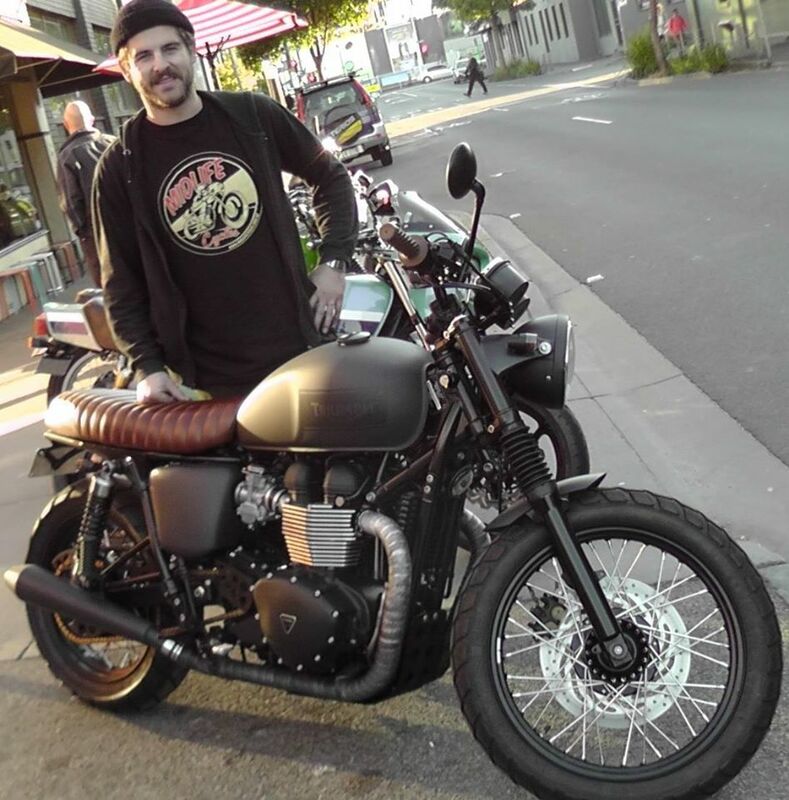 Triumph’s modern retro-bikes based on the Bonneville 900 series are a good ride, but for many owners they’re just the starting point for a full custom build. 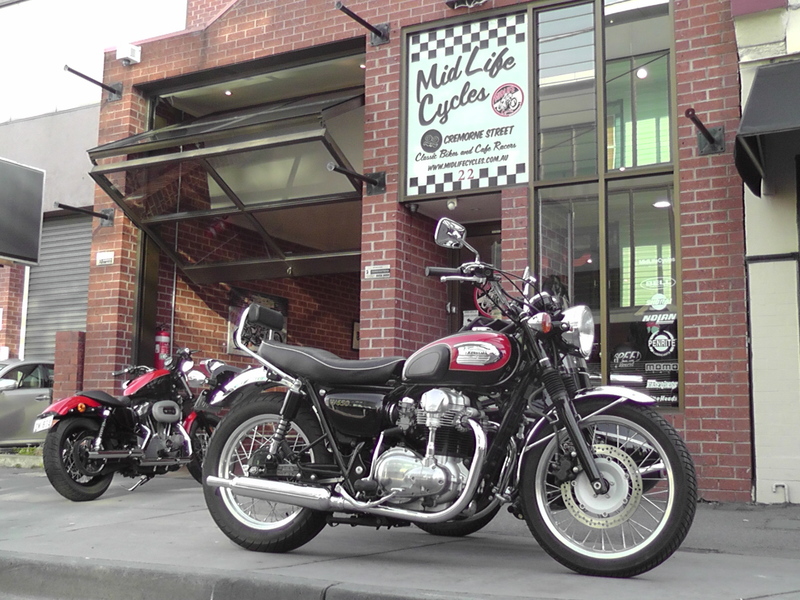 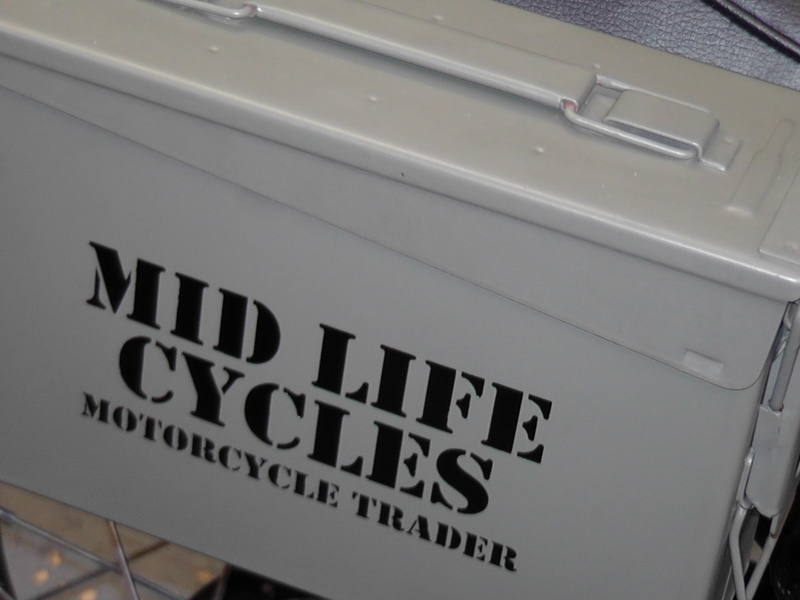 Mid Life Cycles does it all – from a light makeover to a full performance package including engine modifications and upgraded suspension and brakes. 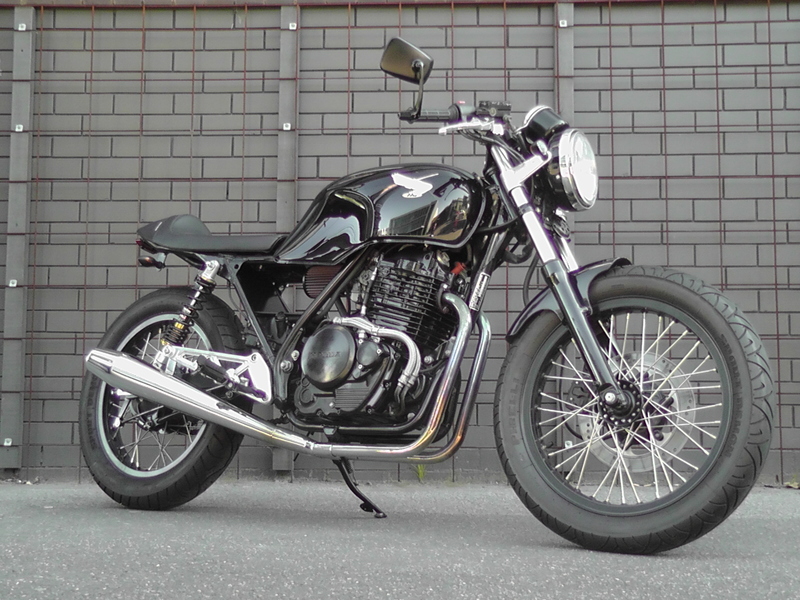 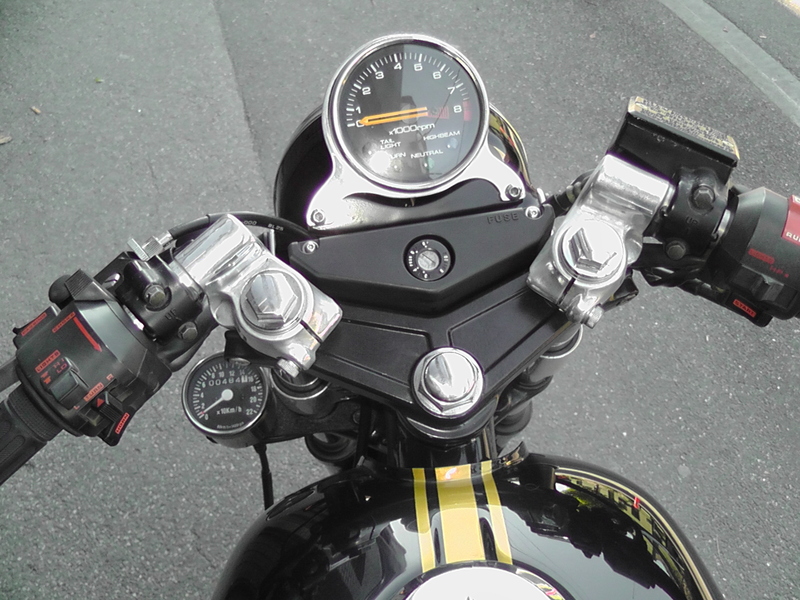 Along with Yamaha’s SR singles and Honda’s SOHC Fours and GB-XBR cousins, the Kawasaki W-series twins launched in 2000 have formed the basis of countless custom builds. 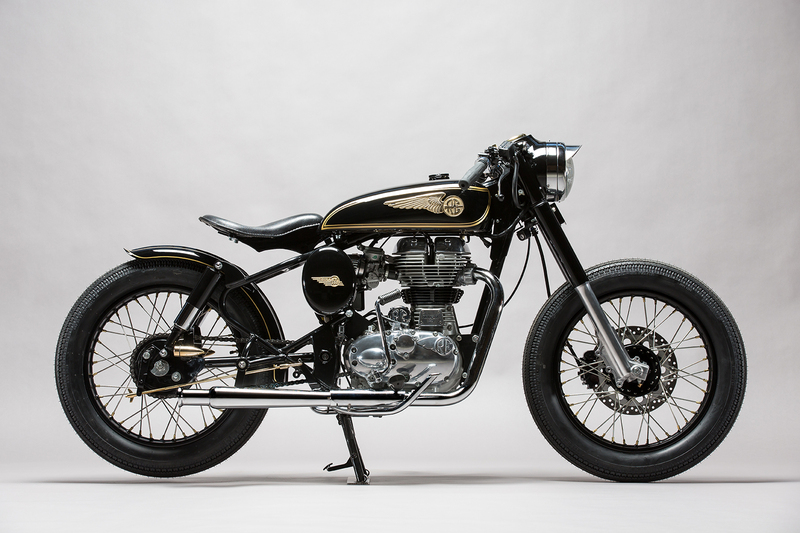 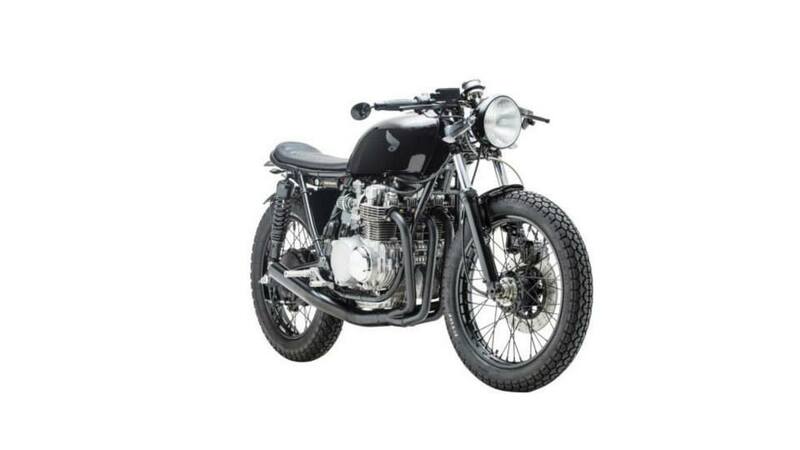 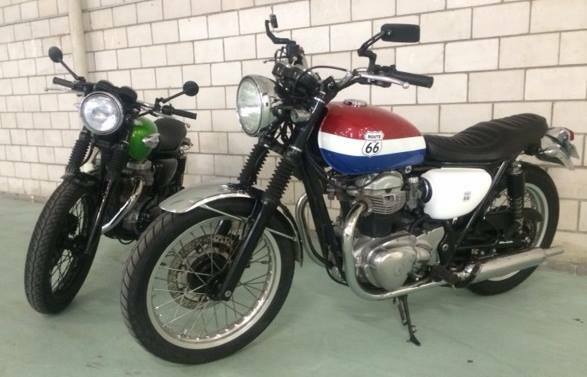 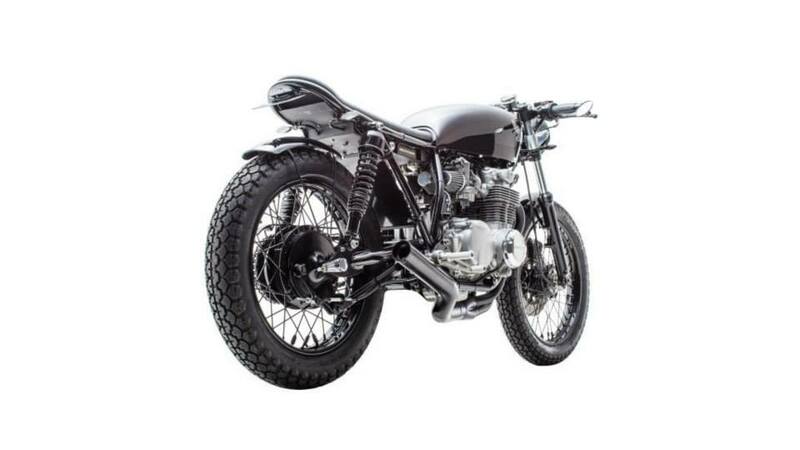 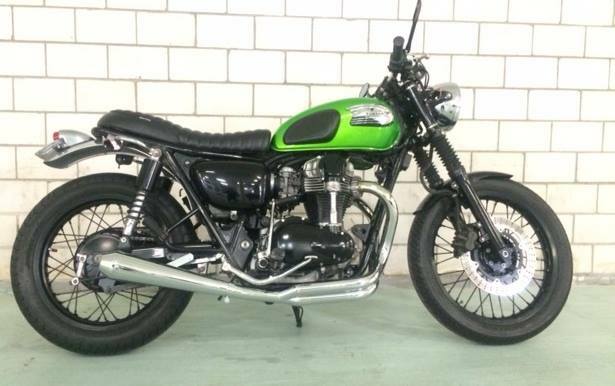 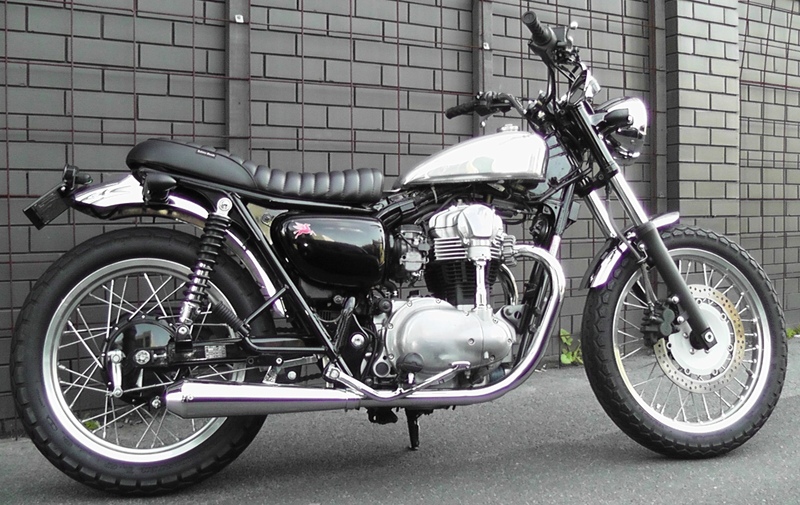 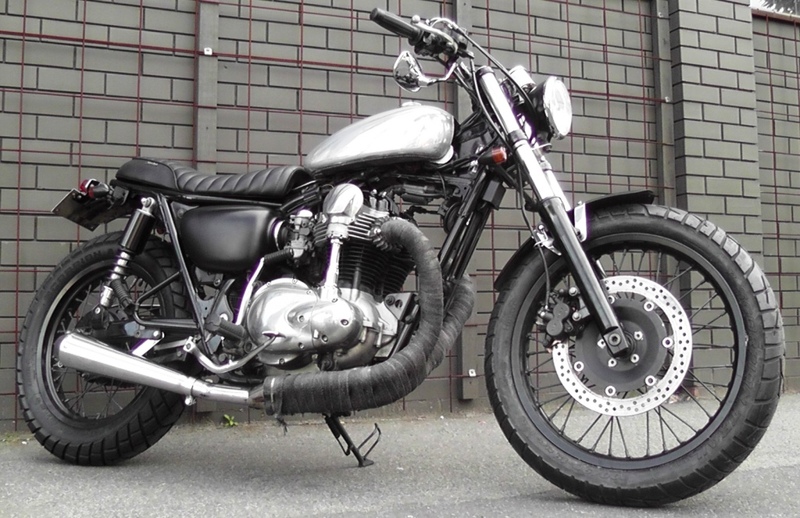 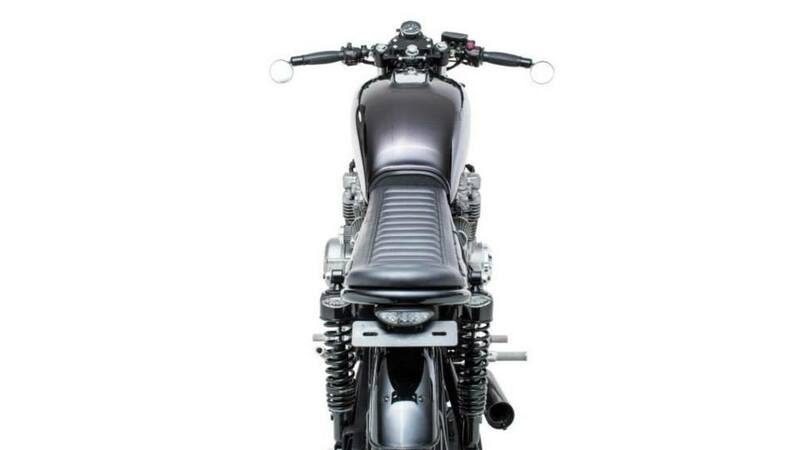 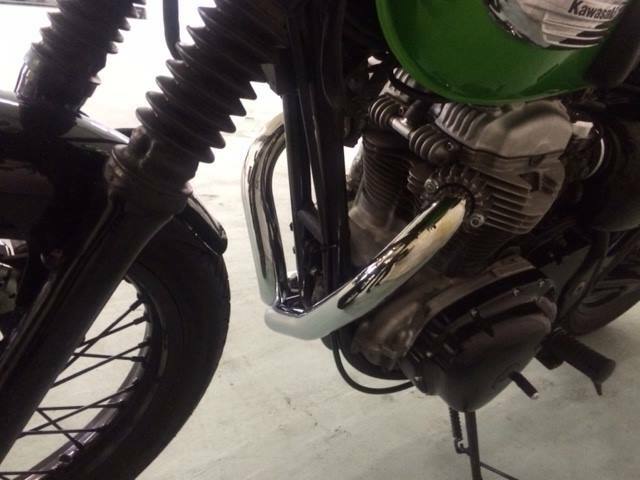 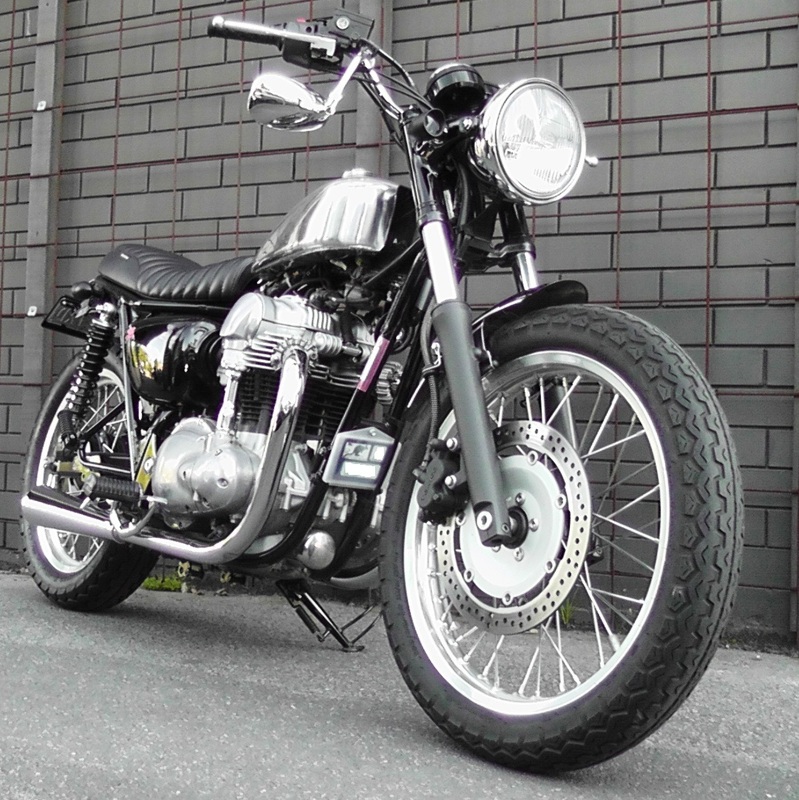 At Mid Life Cycles, we regard the Kawasaki W650 and its brothers as one of the best foundations for building a custom bike. 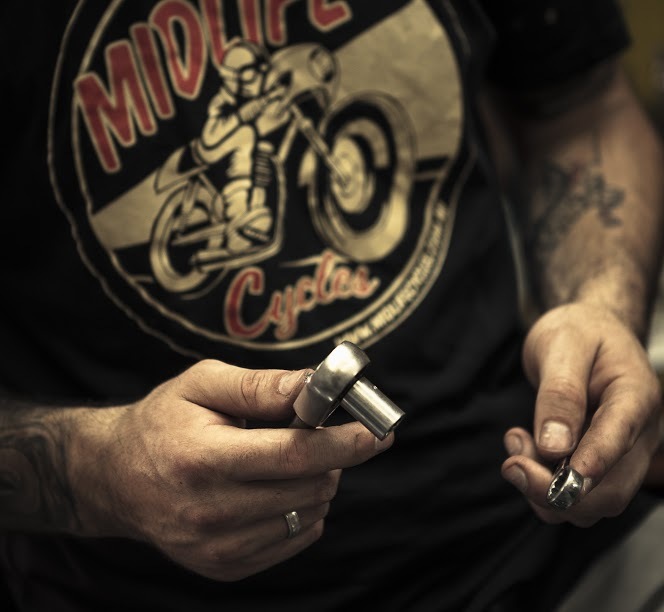 Here are some that we’ve enjoyed putting together – for ourselves and for customers.